- Earlier this month, Michelle was filming a documentary on orangutans, a species of great apes native to Indonesia and Malaysia, for National Geographic. On June 20th she wrapped the filming with people of LEAP and MESCOT in Sabah, Borneo Island, in eastern Malaysia. 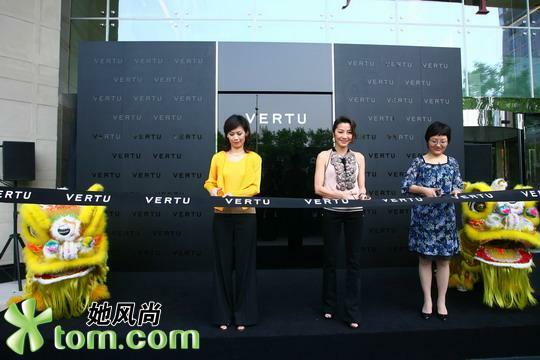 - On June 25th, Michelle attended opening ceremony of a Vertu flagship store in Taipei, Taiwan. 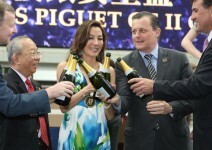 A new collection of the Vertu luxury mobile phone, Constellation Vivre, has been launched during the ceremony. The collection was inspired and co-designed by Michelle, who is the brand ambassador. During the interview, Michelle admitted she has concentrated more on charity work for the past couple of years. 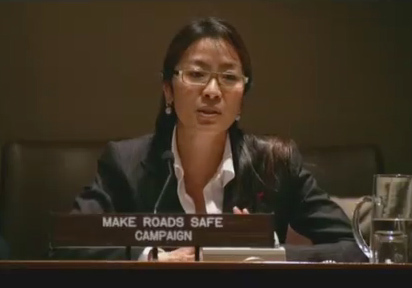 In addition to the road safety documentary, she also made a documentary on wildlife in eastern Malaysia. Talking about her next film, Michelle said it will be the first collaboration between John Woo and her and she is very excited. - Michelle arrived in Taipei, Taiwan on the afternoon of June 24th. She is going to attend the opening ceremony of the Vertu flagship store in Taipei 101 (the world's tallest completed skyscraper) on the evening of the 25th. 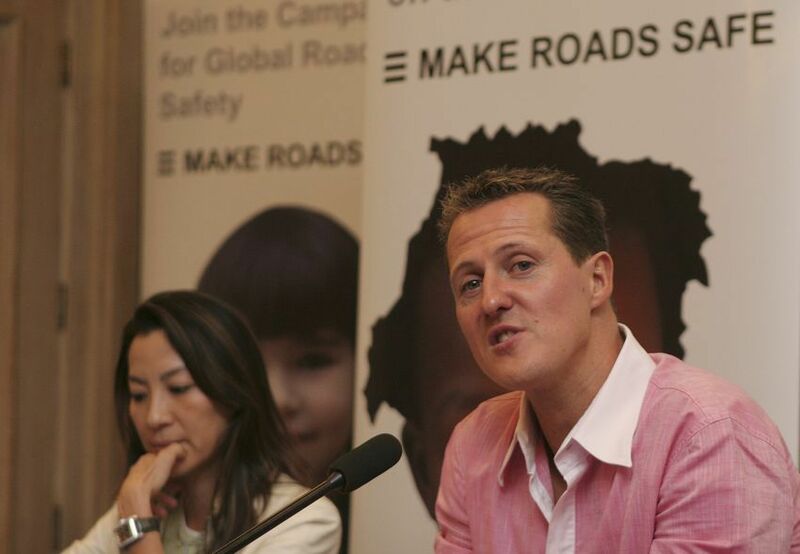 - As the global ambassador for the Make Roads Safe campaign, Michelle is going to attend the 2009 Make Roads Safe Africa Conference on July 8th, which will take place at the Kilimanjaro Kempinski Hotel in Dar es Salaam, Tanzania. - New in Photos: scan images from some older magazines: Prestige (2005), B International (2000), and A Magazine (1997). - Michelle appeared in Shanghai, China on the closing day of the 12th Shanghai International Film Festival, June 21st. On a "Meet with stars" press conference in the afternoon, Michelle confirmed that she will star in the upcoming martial arts film Jian Yu Jiang Hu (tentative title. Direct translation: "Rain Of Swords In The Martial Arts World"). 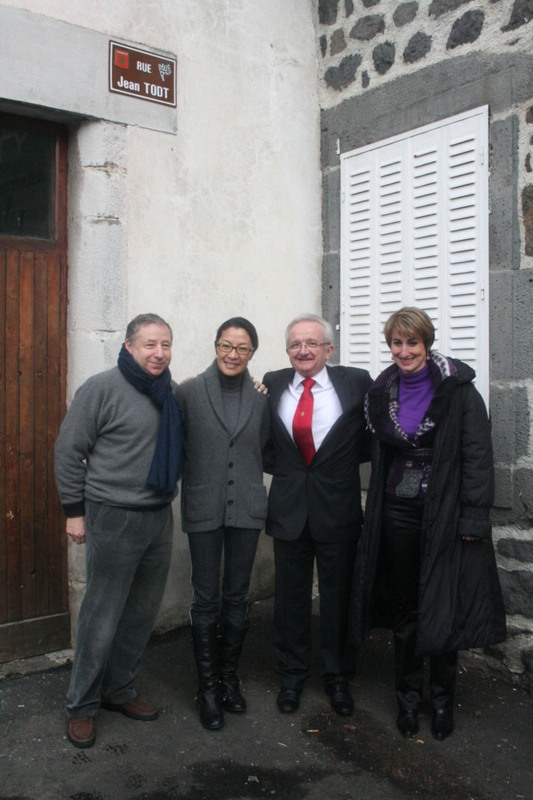 The film will be co-directed by John Woo and Taiwanese director and scriptwriter Su Chao-Pin (a.k.a. Su Chao-Bin), who is also the scriptwriter of this film. The production is expected to start in early September in China and details of the project will be announced in August. Michelle said she enjoys making action films and she feels fit enough to handle action. "I don't let age limit me," said Michelle. 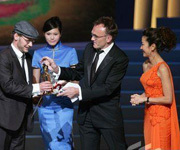 During the closing ceremony in the evening, Michelle and director Danny Boyle, who served as the jury president of the film festival, presented the Best Picture award to Danish-Swedish drama Original. 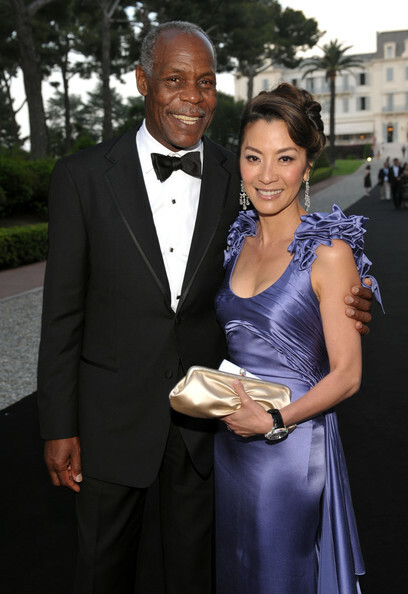 - On June 19th, Michelle attended the charity gala dinner which was held in Kuala Lumpur by Pride Foundation in collaboration with the High Net Worth Summit organisers. - Michelle is going to attend the closing ceremony of the Shanghai International Film Festival on June 21st. - Far North: extending theatrical release in India. - A new Film Posters page has been created and it contains selected film posters and video arts including many from older Michelle films. The Filmography section has been redesigned with four pages: "Films Acted In", "Complete List", "Chinese Titles", and "Film Posters." - Updates on Jun Ling Ru Shan: on June 9th, Heilongjiang TV Station (HLJTV) signed an official contract with the Shanghai Film Group Corporation in Shanghai. HLJTV will be organizing an open casting call for 12 supporting female roles for the film. The call, named "Looking For New Women Warriors of the Yang Family," will start in July and last until November. Directed by Hong Kong director Frankie Chan, who attended the signing ceremony yesterday, the historic/martial arts film is aiming to start lensing in Inner Mongolia, China in December for a 2010 summer release. The cast will be led by Michelle and Andy Lau, and will include Siqin Gaowai, Yu Shaoqun, Fan Bingbing and S.H.E.. For previous reports and more details on the project please see News of May 9. - According to Malaysian media, Michelle is expected to attend the charity gala dinner, organized by the High Net Worth Summit 2009 (HNWS) and the PRIDE Foundation (Pink Ribbon Deeds) to raise funds to help breast cancer patients, on June 19 at the Mandarin Oriental Kuala Lumpur, Malaysia. - The Children of Huang Shi: new images (including some HQ ones) and the German release date. - On May 29th, Michelle attended the opening gala reception of "The Golden Age of Couture: Paris and London 1947-1957," an exhibition on Parisian and British couture, at Hong Kong Heritage Museum, Hong Kong. 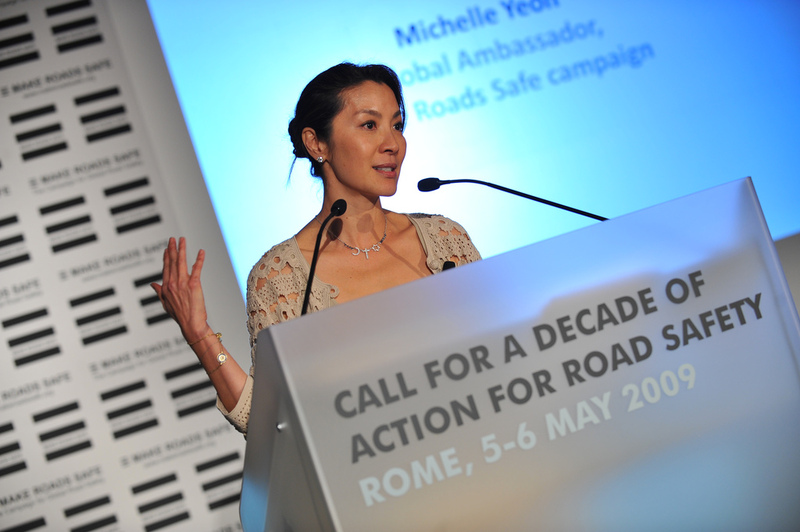 - Make Roads Safe video (03:50): Michelle's speech at the Decade of Action Launch, Rome, May 5th. 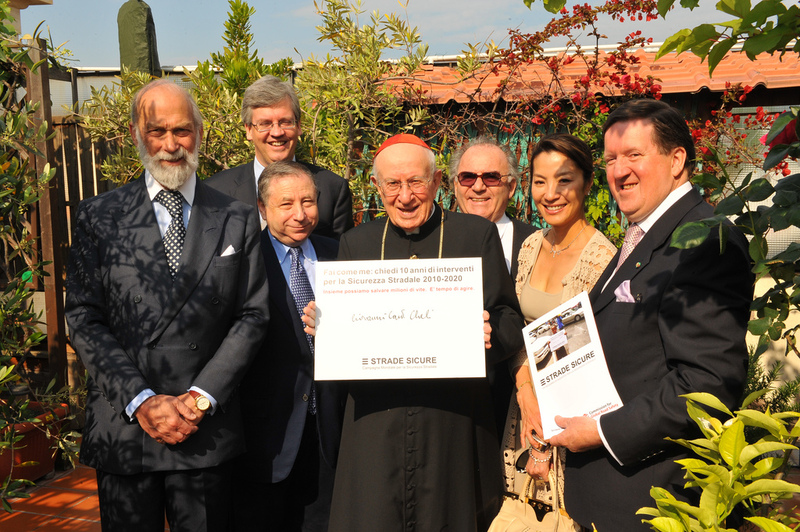 For photos of the event please see News of May 15. 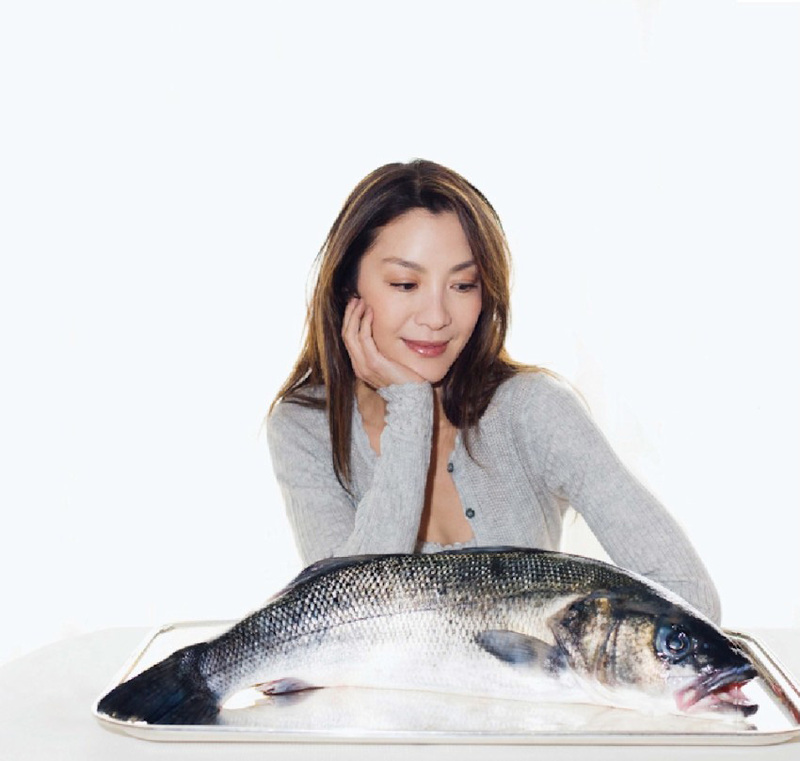 (3-4) recalling her childhood fishing trip? - Far North: Region 2 DVD information and cover pic. The newly released DVD contains loads of extras. 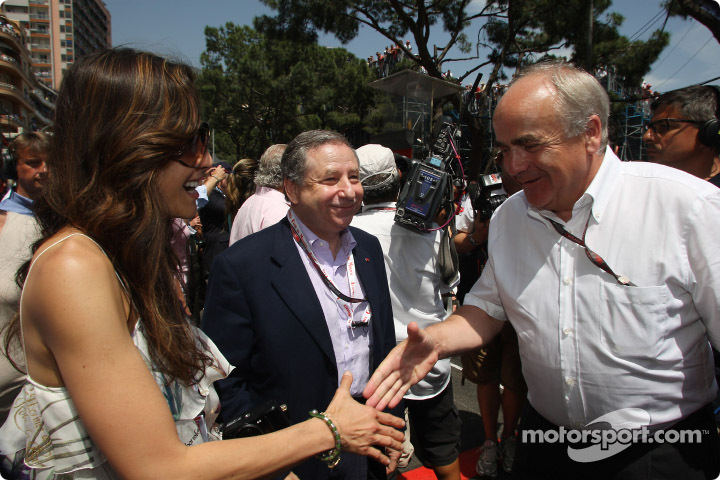 - FIA Foundation news reported Michelle's Argentina trip (with a small photo). 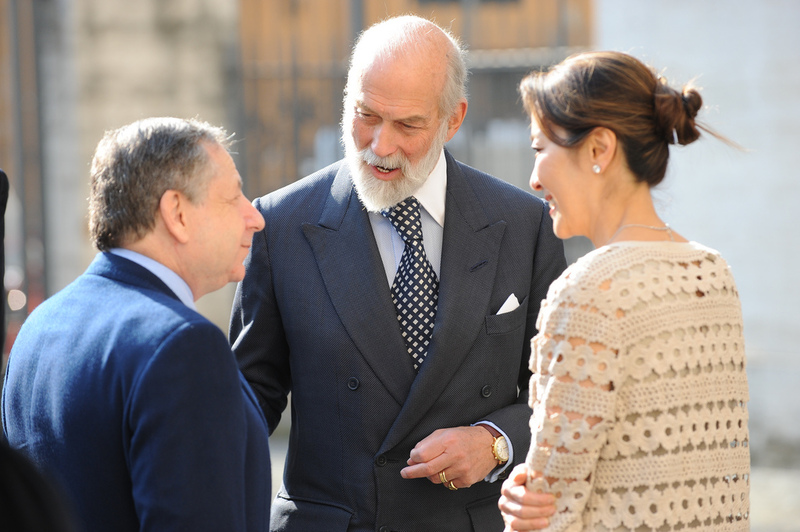 Michelle was in Buenos Aires, Argentina, during the FIA Conference Week (May 11 - 14). During the interview, Michelle talks about various topics - Cannes Film Festival, being an ambassador for L'Oreal (the official partner of the Cannes Festival), Asian films, keeping fit, etc.. 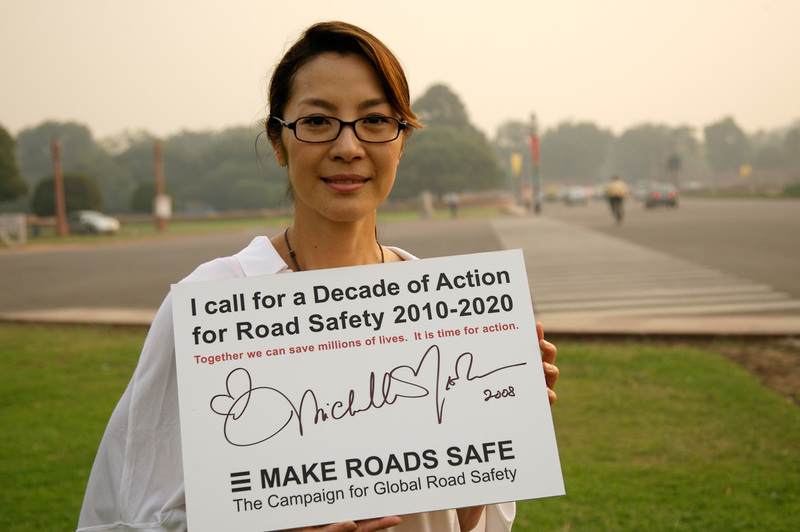 Speaking of her recent projects, Michelle said her main focus for the past couple of years has been the global road safety project, Make Roads Safe. Next she is going to make a costume period martial arts film, which will be a co-production of Mainland China, Hong Kong and Taiwan. 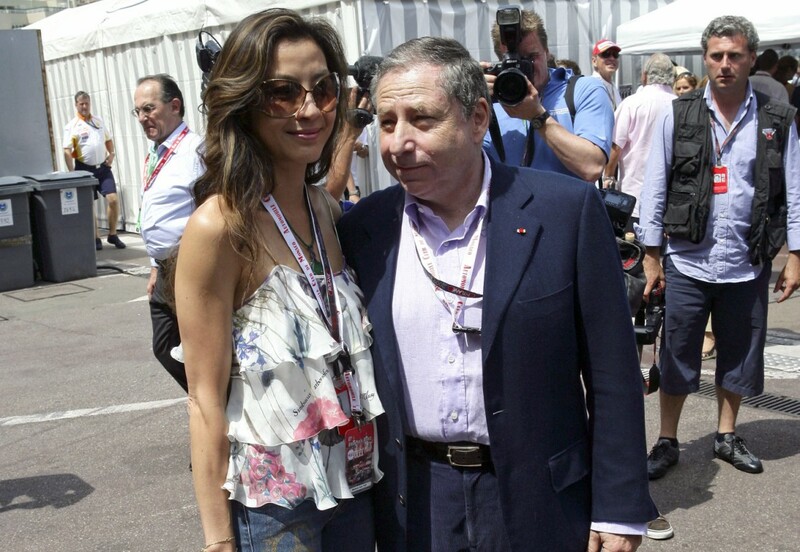 - News photos: Michelle and Jean Todt at the Monaco Formula One Grand Prix, Monte Carlo, May 24th. 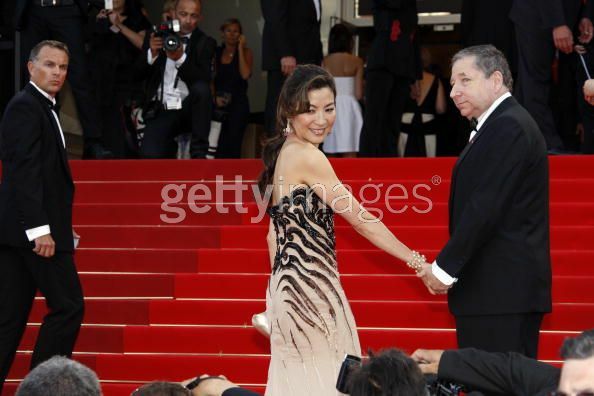 - [Cannes Film Festival] Michelle attending the premiere of director Tsai Ming-Liang's Face, May 23rd. - [Cannes Film Festival] In the afternoon of May 22nd, Michelle hosted the Amend Charity Luncheon, held at the Hotel Du Cap, Antibes, France, during the 62nd Cannes International Film Festival. - [Cannes Film Festival] On May 21st, Michelle attended the amfAR Cinema Against AIDS benefit banquet as an amfAR ambassador and event chair. The annual event is traditionally a high point of the Cannes Film Festival. 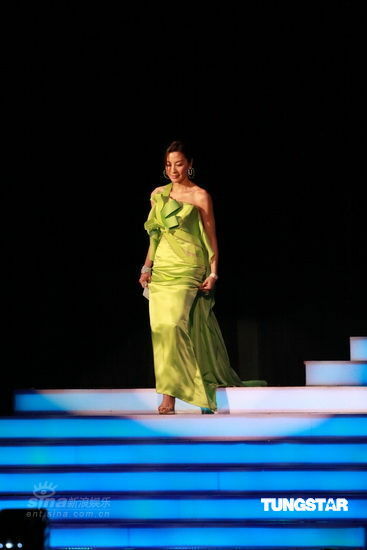 The evening raised a total of US$4.5 million for AIDS research. 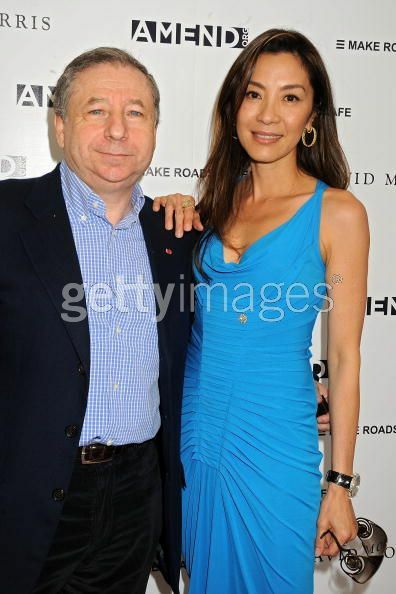 - Photos: Michelle and Jean Todt attending Madame Figaro CD Launch Party in Cannes, May 20th. - [Cannes Film Festival] May 20th: Michelle attending the premiere of Inglourious Basterds, Quentin Tarantino's new WWII film. 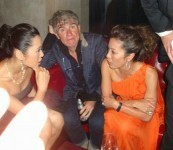 - [Cannes Film Festival] On May 19th, Michelle attended the 2009 Taiwan Night Party at the Carlton Beach. 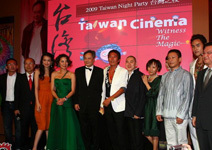 The annual event at Cannes pays tribute to notable filmmakers of Taiwan cinema. 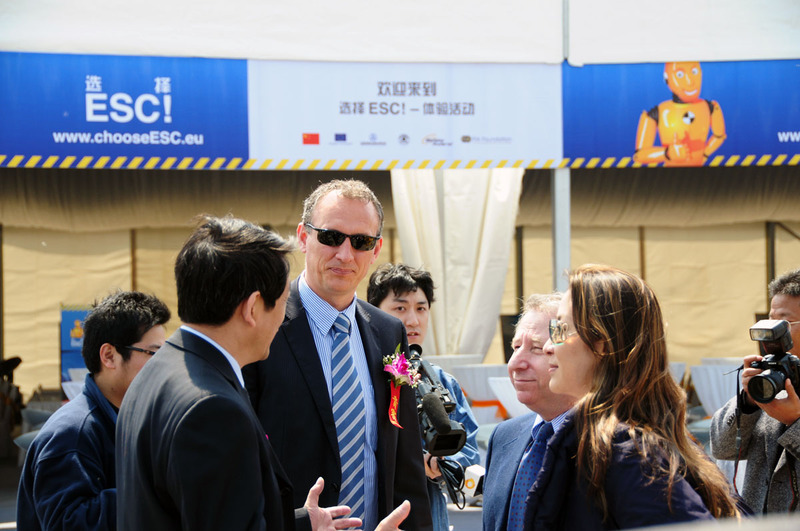 More than 500 guests attended the event. During the interview reporters asked Michelle among the four Chinese directors whose films are in competition at this year's Cannes (Taiwan's Ang Lee and Tsai Ming-Liang, Hong Kong's Johnnie To, and Mainland China's Lou Hua), who she wishes to win the most. Michelle said they all made great contributions for Asian films and they have already won by having their films accepted for competition. A special award will be given to Michelle on Saturday May 23rd during the Cannes Film Festival. - [Cannes Film Festival] News photos: Michelle attending the premiere of Spanish director Pedro Almodovar's Broken Embraces (Los Abrazos Rotos), May 19th. 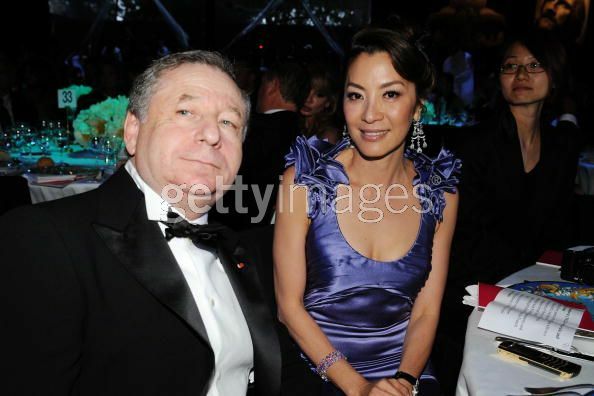 the youngest version of Jamal Malik in Danny Boyle's Oscar winning "Slumdog Millionaire"
- [Cannes Film Festival] On May 17th, Michelle attended the premiere of Vengeance, a French-Hong Kong noir crime film directed by Hong Kong director Johnnie To (PTU, The Heroic Trio). During an interview yesterday, Michelle told reporters that she flew directly from Argentina to Cannes and she is going to attend a series of activities during the film festival until May 23rd. She said she is very excited to see all her friends here. 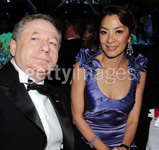 Michelle on the red carpet of "Vengeance"
- [Cannes Film Festival] News photos: Michelle and Jean Todt attending the after party of Ang Lee's Taking Woodstock at Majestic Beach, May 16th. 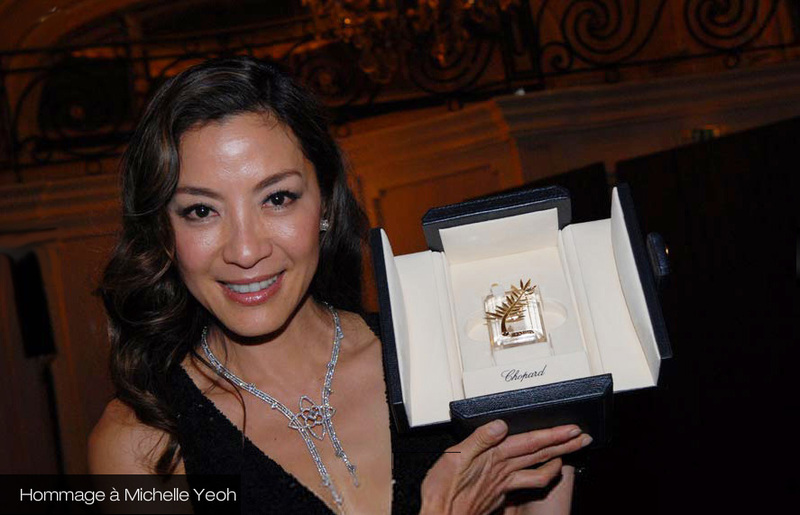 - [Cannes Film Festival] On May 16th, Michelle attended the "100 Years of Hong Kong Cinema" celebration party, held at the Carlton Beach during the 62nd International Cannes Film Festival. 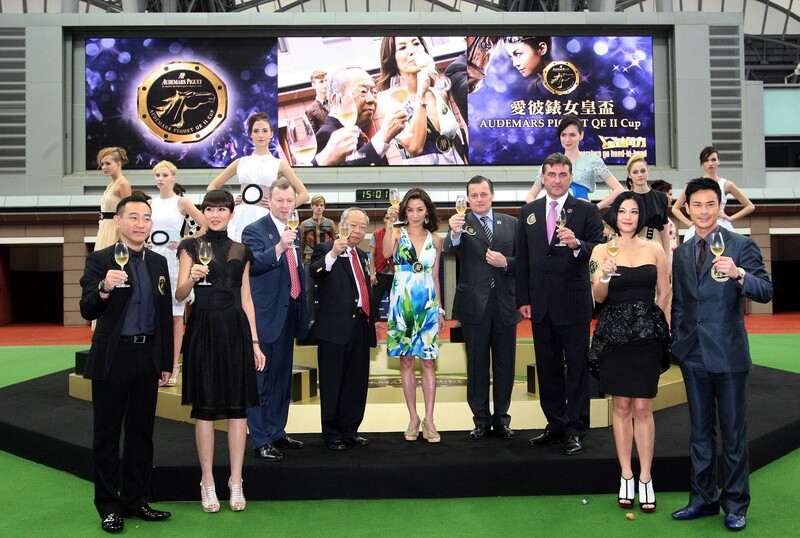 The centennial cocktail celebration was organized by the Hong Kong Chamber of Films (HKCF), the Hong Kong Trade Development Council (HKTDC) and China Film Promotion International. 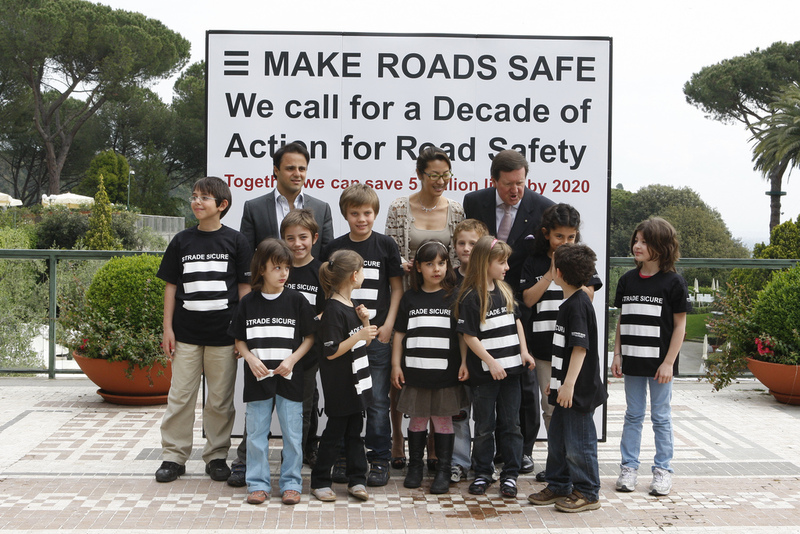 - More photos from the Make Roads Safe campaign in Rome, Italy, May 5th. 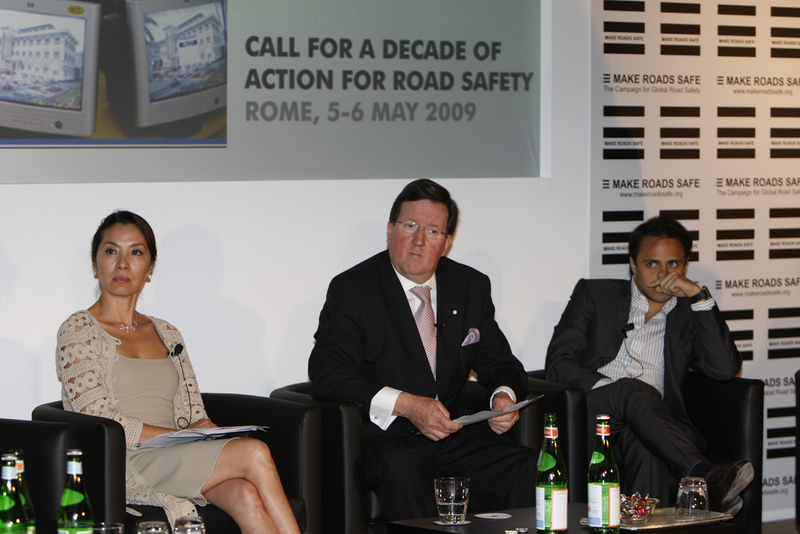 - Michelle has been in Buenos Aires, Argentina, for the FIA Conference Week (May 11 - 14). - The Filmography section has been re-arranged and a new Film Summery page has been added on this site. - Fortissimo Films announced that the company is currently developing an action film with Michelle. The untitled English-language project will partially shoot in Malaysia early next year. Michelle will be starring as well as co-producing. Christopher Doyle (In the Mood for Love, Hero) will be the cinematographer and negotiations are ongoing to attach a director. - [Cannes Film Festival] Michelle is going to attend the cocktail reception for "China Night: Celebration of 100 Years of Hong Kong Cinema," held during the Cannes Film Festival. 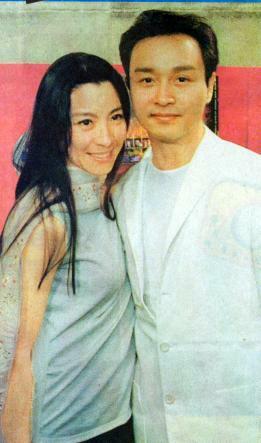 She and Hong Kong actor Tony Leung Chiu Wai will be officiating the ceremony. The event will be held on May 16th at the Carlton Beach, Carlton Hotel. Michelle is also going to attend the Taiwan Night gala on May 19th at Carlton Beach. - Jet Li's One Foundation held a charity event for the victims of the Sichuan earthquake on May 10th in Sichuan Province. Michelle's supporting video (prerecorded) was shown although she could not make it there in person. More than 70,000 people lost their lives in the Sichuan earthquake, 10,000 of whom were children and a large portion of these deaths are attributed to poorly built schools. The communist government has been trying to hide the actual student death toll in the fear of public anger. The government harassed and arrested people who were trying to investigate school rubble, collect names for more accurate death tolls, and parents who asked for an official apology or compensation. According to the survey data released in mid April by Sichuan Compatriot Union in San Francisco, the student death toll probably exceeds 30,000, and the total death toll is much higher than the officially claimed 70,000. 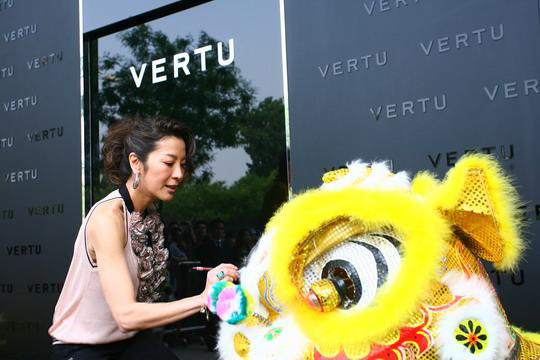 - On May 8th, Michelle appeared at the opening ceremony of a Vertu store in Beijing. 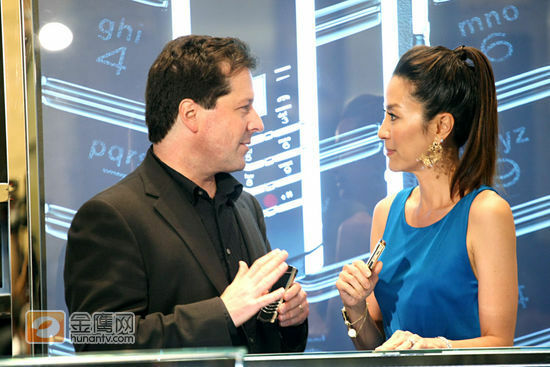 Michelle has been an ambassador for Vertu since 2008. During the interview Michelle said she will be making an action film this summer. She said she felt strange that recently most of the film scripts she has received, especially the ones from foreign countries, give her non-action roles. "I thought people like to see me in action roles, don't they?" Michelle also mentioned that she prefers sending text messages than making phone calls, and she says she is really fast at text messaging. - Updates on Jun Ling Ru Shan (for previous report see News of Apr. 17): the production is aiming to start in Inner Mongolia, China at the end of September for a 2010 summer release. The latest news is that Michelle will play the main lead Mu Gui Ying (a legendary heroine whose name is as well known as Hua Mulan in Chinese history) and Hong Kong actor and singer Andy Lau will play her husband, Yang Zong Bao. The newcomer Yu Shaoqun will play their son Yang Wen Guang. 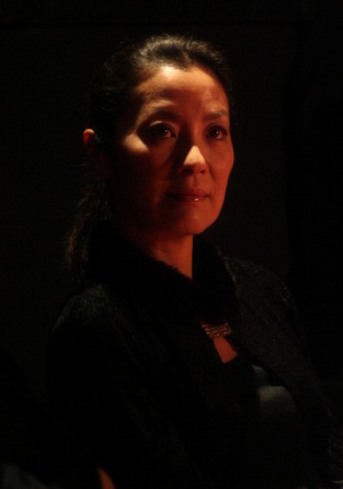 Famous Chinese actress Siqin Gaowai plays Mother She (She Tai Jun). It is not clear if Michelle and other attached main cast members have officially signed on. 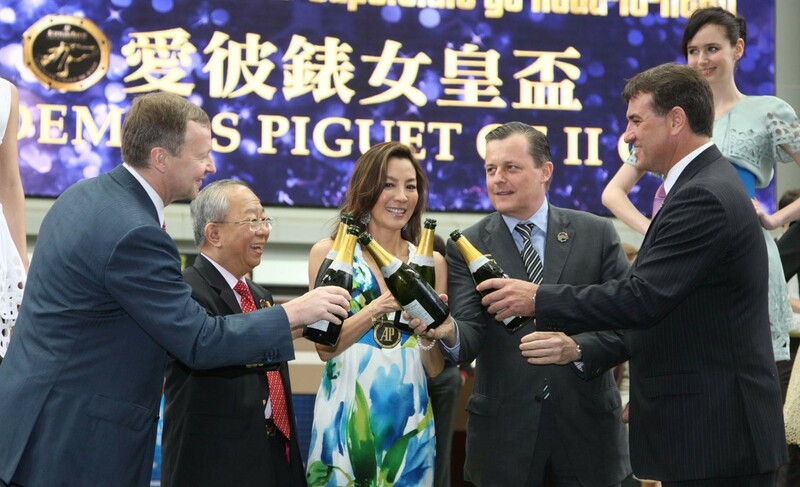 The US$20 million production is a co-production of Shanghai Film Group Corporation, Columbia Pictures (U.S.), Tung Ah Group (Hong Kong), and Xi'an Film Studio. Later this month Heilongjiang TV Station will host an open casting call for some of the supporting roles as women warriors of the Yang family. - Michelle and producer Terence Chang have been preparing a costume martial arts film. It may be directed by Taiwanese director Su Chao-Bin (Silk). Not much information has been released except that currently the Chinese title of the film is Jian Yu Jiang Hu which can be translated as "martial arts world of swords." It is possible this will be the action film Michelle mentioned. 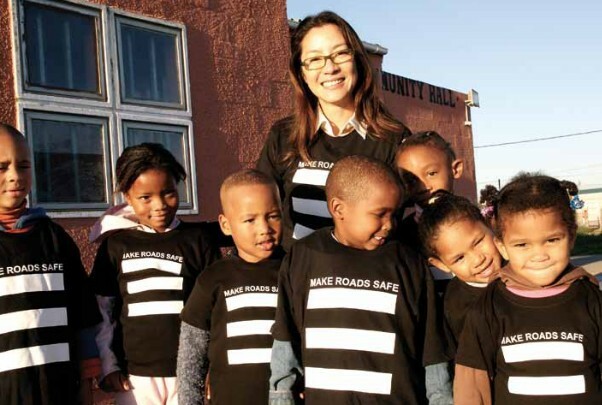 - Make Roads Safe video: Turning Point advertisement (02:28). - Far North: U.K. DVD release information and pictures. - The Children of Huang Shi: new posters, Region 2 DVD, and release date for Portugal. 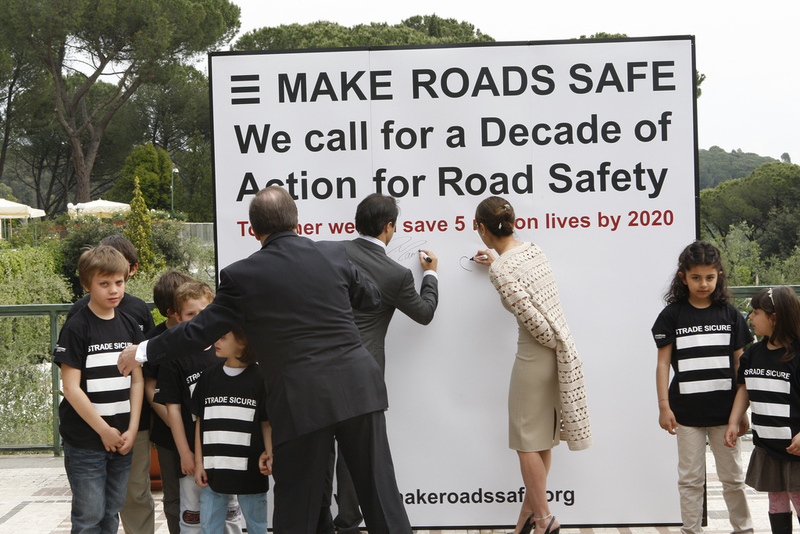 - Make Roads Safe campaign in Rome, May 5th. 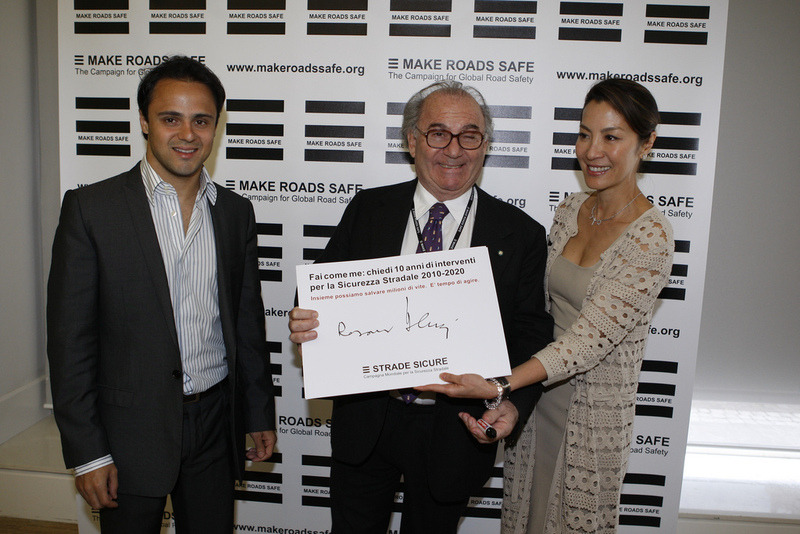 - Turning Point - A Journey on the World's Killer Roads, the documentary Michelle made for the Make Roads Safe campaign, will be formally premiered in Rome on May 5th during a global road safety conference, with Michelle attending. 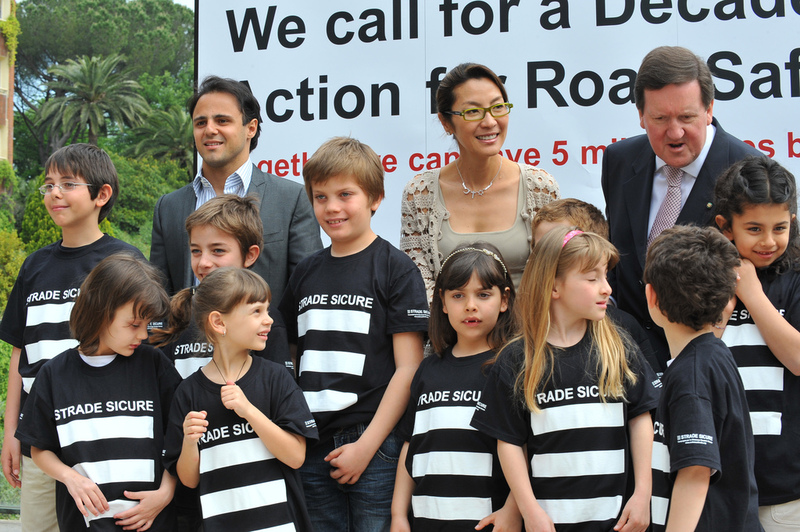 The film will also be featured at a road safety benefit during the Cannes Film Festival later this month. 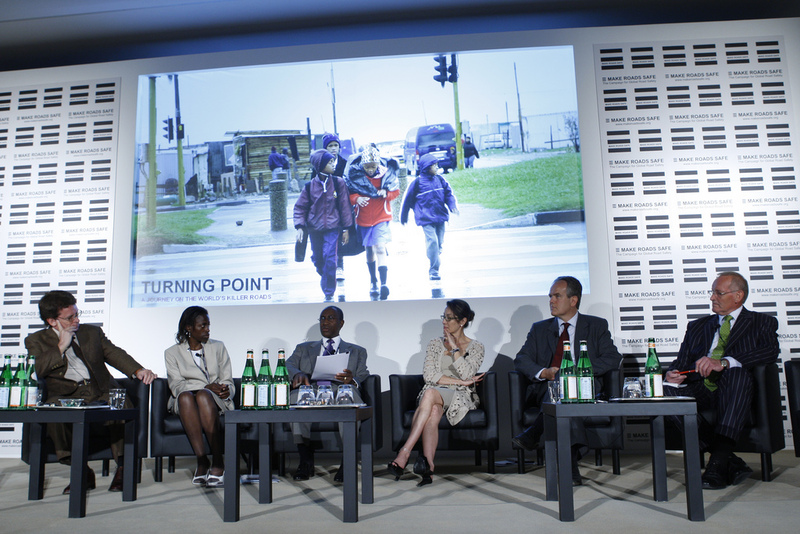 This weekend on Saturday May 2nd, it will be broadcast worldwide on BBC World News, entitled "Dying To Go To School." The film was directed by independent filmmaker Richard Stanley with cinematography by two-time BAFTA award winning cameraman Nigel Meakin. - The Mummy 3 was nominated as Best Horror Film for the 35th Saturn Awards. - Babylon A.D.: new images and link to the Japanese game site. - [NOTE] Some visitors in Mainland China told me that when they try to use "Play" to view clips in the Videos section, all they see is a blank window. It is because the "Play" function in Videos is supposed to display embedded clips from YouTube where I have some video clips hosted, and YouTube has been blocked in Mainland China since last month after it hosted some videos showing the Chinese authorities' violent acts in Tibet. If any of you needs anti-blocking software which allows you to break through the Chinese Communist Party's "Great Firewall", you may e-mail me. Nov. 15, 2008 (2 new photos), Oct. 26, 2008 (5 new photos), Apr. 17, 2007 (2 new photos), Nov. 27, 2006 (3 new photos). 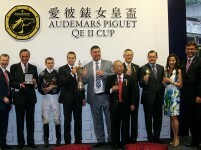 - Photos: Michelle attending the 2009 AP QE II Cup, April 26th, Hong Kong. - On the recent list of the "19 Great Martial Arts Flicks" by the "Entertainment Weekly", there are two Michelle films: Crouching Tiger, Hidden Dragon and Twin Warriors (Tai Chi Master). 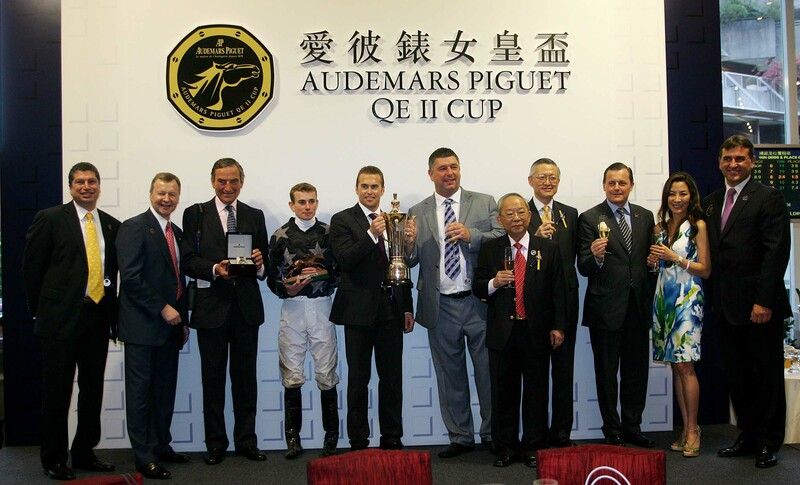 - Michelle is in Hong Kong and she is going to attend the 2009 AP QE II Cup (Audemars Piguet Queen Elizabeth II Cup), one of the most prestigious competitions in horse racing sport, as an Audemars Piguet ambassador on Sunday April 26, at Sha Tin Racecourse, Hong Kong. 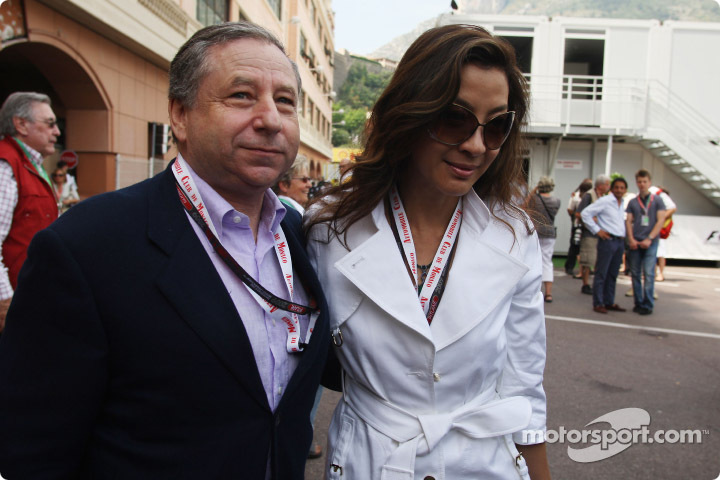 - On April 22, Michelle and Jean Todt met Malaysian Tourism Minister Ng Yen Yen at the Tourism Ministry in Kuala Lumpur, where Ng presented an approval letter to Jean Todt under the Malaysia My Second Home (MM2H) programme. 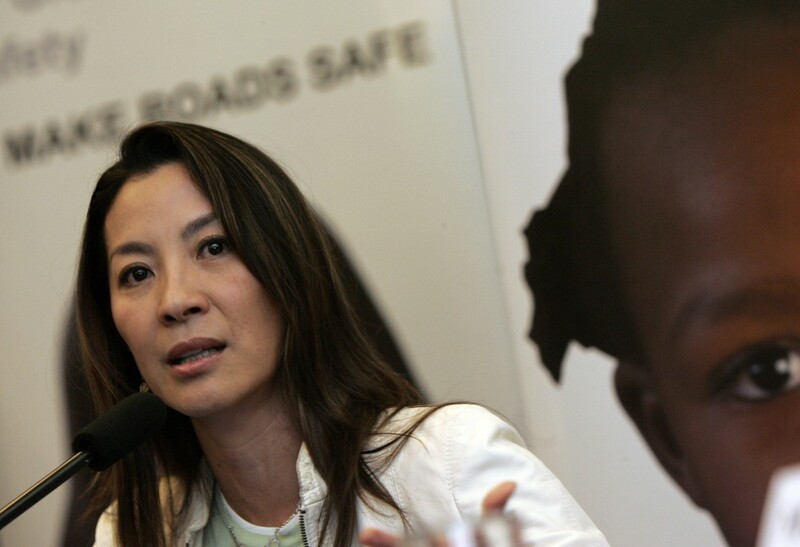 Michelle told reporters that she could not stay in Malaysia very long because of her job as an actress, but she would cooperate with the Ministry to promote the road safety in the country. She hopes to shoot some documentaries in Malaysia, especially about Malaysia's heritage. 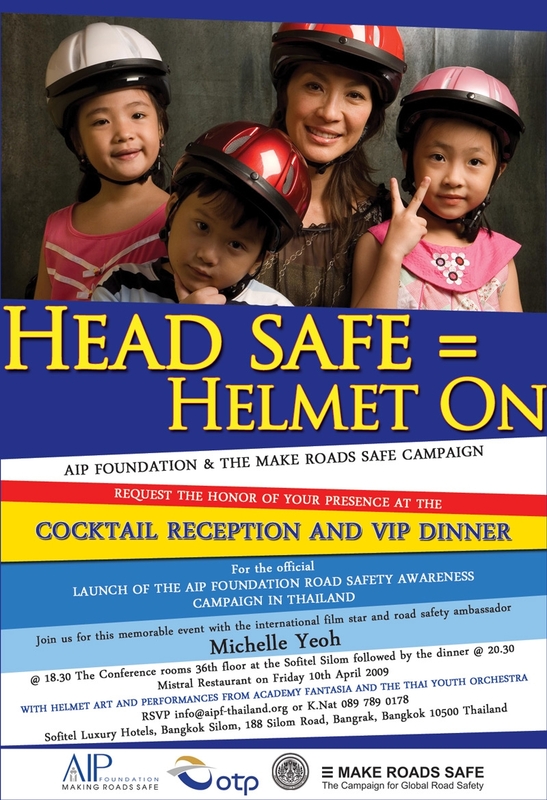 - More photos of Michelle on the launch of the AIP Foundation road safety campaign "Head Safe = Helmet On", Bangkok, Thailand, April 10th. - [Cannes Film Festival] This year's Cannes Film Festival will take place on May 13 - 24. Michelle is scheduled to attend the festival on May 19th and 20th as an ambassador of L'Oreal Paris which has been an official partner of the festival for 12 years. She will also serve as an event chair for the amfAR's Cinema Against AIDS charity event during Cannes on May 21st, as previously reported. - Reportedly Michelle is going to star in Hong Kong director Frankie Chan's Chinese historic/martial arts film Jun Ling Ru Shan (English translation: "Unshakeable Military Orders"). It is based on the historical story "Women Warriors of the Yang Family" (Yang Men Nyu Jiang). It is reported that the martial art director will be Corey Yuen (Yes, Madam, Fong Sai Yuk, The One) and the main cast of the film will include Michelle, Hong Kong actor Andy Lau, and famous Chinese actress Liu Xiaoqing. The news was published by Zhongsheng Music, the agent company of Chinese singer Ma Rui, who has recently signed on the project. Production is aimed to start in September. 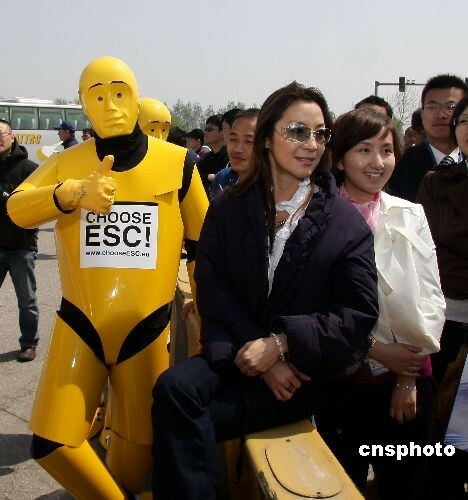 - News photos: Michelle as the global road safety ambassador at the launch of the Chinese ChooseESC! Campaign, BJPG, Tongzhou District, Beijing, April 16th. 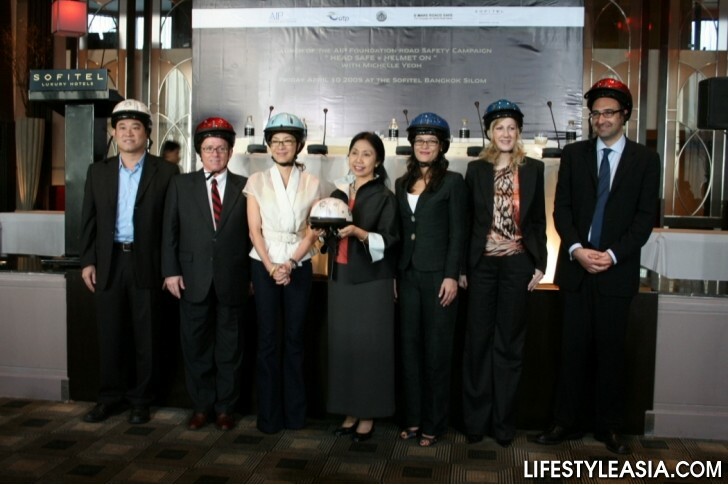 - On April 10th, Michelle attended the launch party and press conference for the road safety campaign "Head Safe = Helmet On" in Bangkok, Thailand. 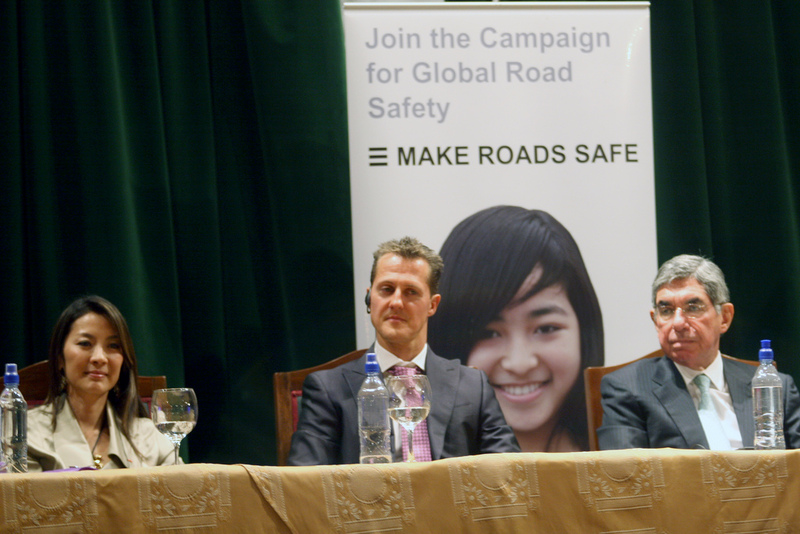 The event was organized by the Make Roads Safe and Asia Injury Prevention Foundation (AIP Foundation), an American non-profit organization whose goal is to improve road safety in the developing world. 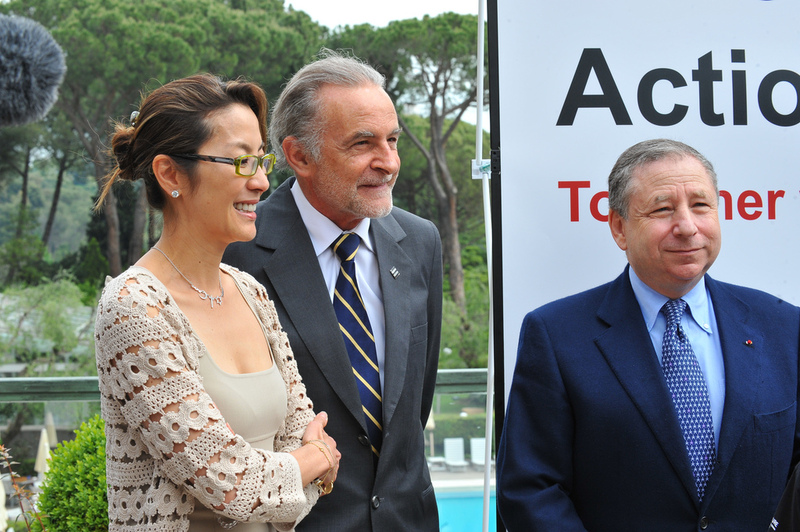 - [Cannes Film Festival] Once again Michelle will be an event chair of the annual Cinema Against AIDS event, to be held on May 21 during the 62nd Cannes International Film Festival. 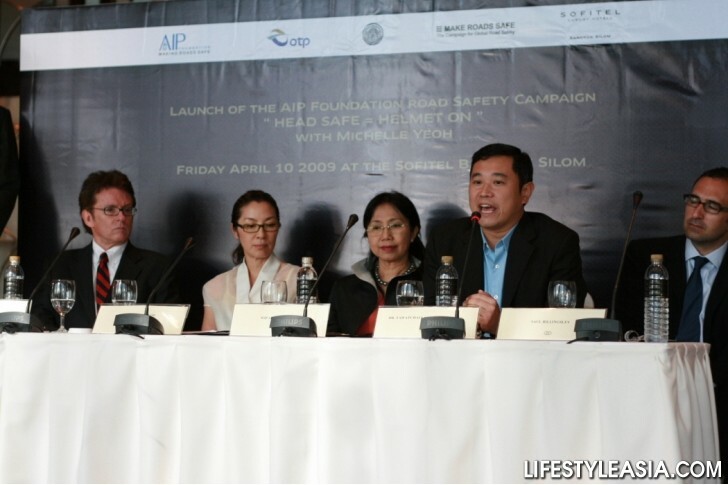 Michelle has been an ambassador to amfAR (the American Foundation for AIDS Research) since 2006. 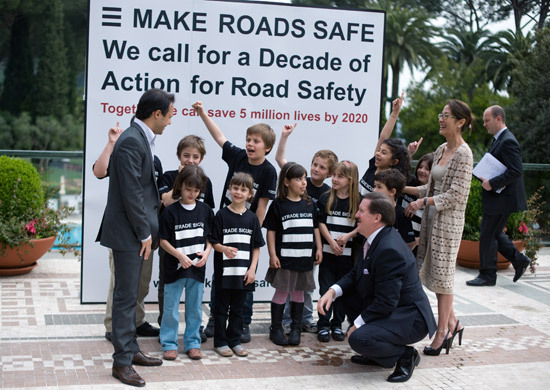 - The launch of the FIA Foundation's second report of Make Roads Safe and Call for a Decade of Action for Road Safety will take place in Rome, Italy, on May 5 and 6. 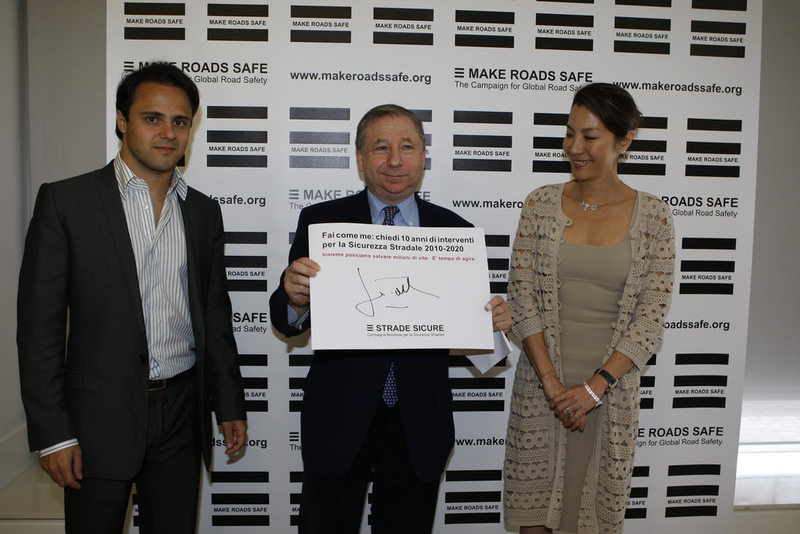 The Make Roads Safe Documentary Film will be premiered during the conference on May 5th. 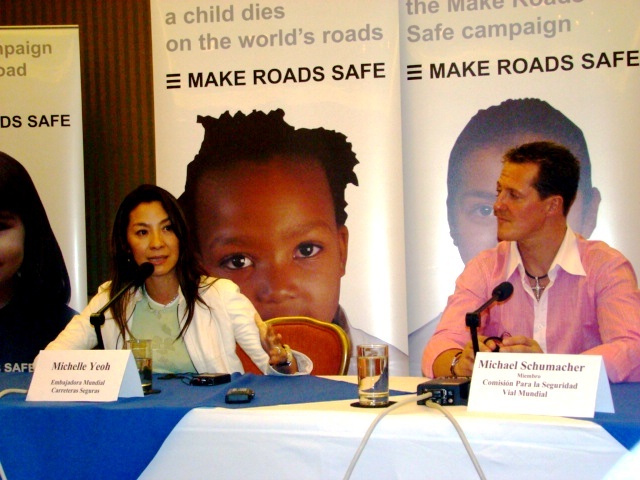 The film features Michelle's visits to Asia, Africa and Latin America as the Make Roads Safe global ambassador and will highlight the key messages of the commission's reports. Michelle will attend the premiere and she is also scheduled to lead several sessions/Q&A/panel discussions. - A public traffic safety activity, "Red Light and Green Light", will be held in May in Shenzhen City, Guangdong Province, China. 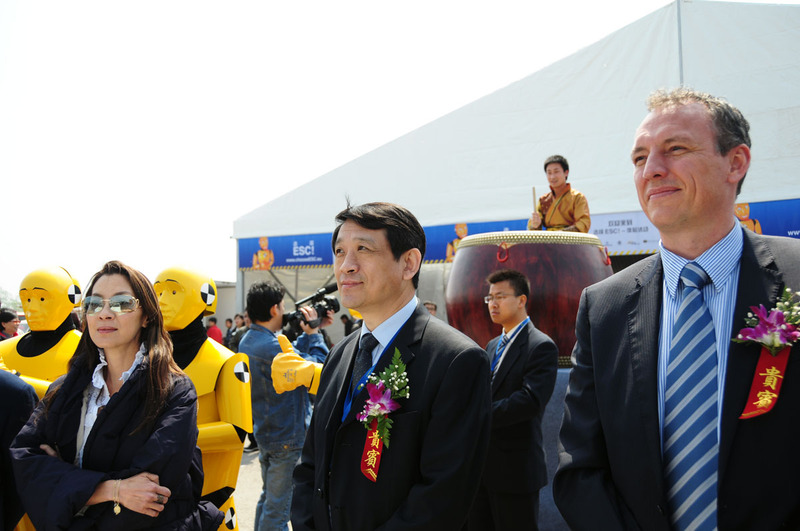 Organized by the Shenzhen Traffic Management Bureau, the Shenzhen Lions Club, and the Shenzhen Media Group on Radio, TV and Films, the activity is aimed to raise awareness of traffic safety. 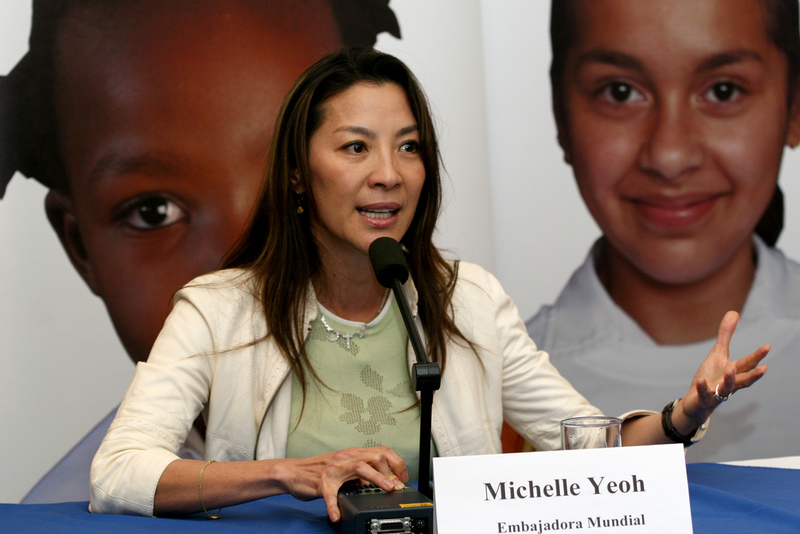 Local media reported that Michelle will be the goodwill ambassador. 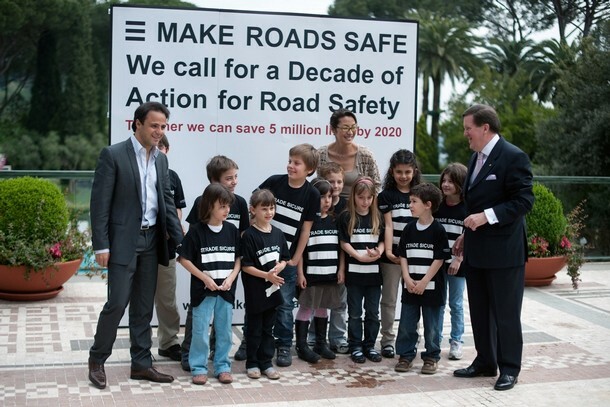 With a population of 14,000,000, Shenzhen has more than 800 traffic deaths per year. 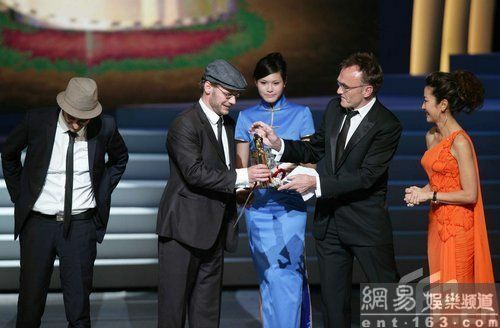 - Video 6 (00:21): Michelle accepting the World's Most Influential Chinese Award, March 28. 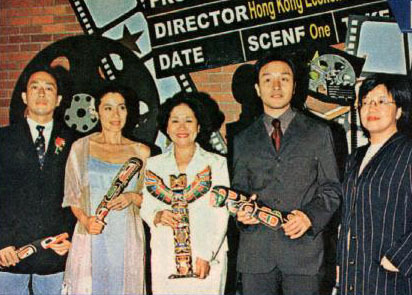 - This was from June 1999, when Michelle and the late Hong Kong superstar Leslie Cheung (who passed away six years ago on April 1st) in Vancouver, Canada, attending the Hong Kong Film Week which featured their Moonlight Express as the opening film. 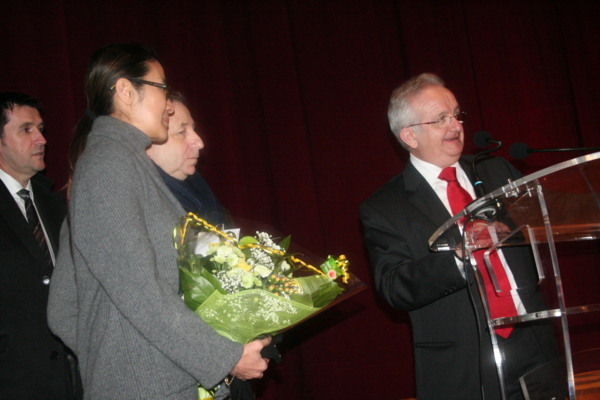 - News photos: Michelle at the award ceremony of the 2008 "You Bring Charm to the World Awards - Chinese Influencing the World Festival", March 28th, Peking University, Beijing. 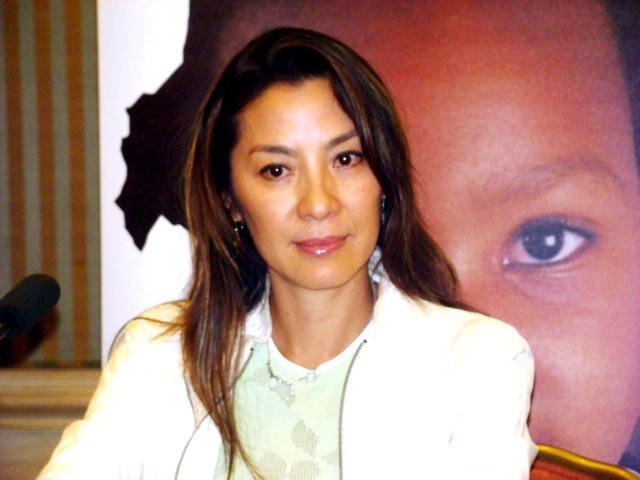 - In the surveys taken at the 2009 Hong Kong FILMART (Hong Kong International Film & TV Market, March 23 - 26), Michelle was once again voted by buyers and exhibitors as one of the "Most Saleable Female Film Stars Who Take Part In Hong Kong Film". The other actresses on the list are (in alphabetic order): Sammi Cheng, Cecilia Cheung, Maggie Cheung, Charlene Choi, Hsu Chi (Taiwan), Zhou Xun (Mainland), and Vicky Zhao (Mainland). The "Most Saleable Male Film Stars Who Take Part In Hong Kong Film" are Jackie Chan, Jay Chou, Stephen Chow, Andy Lau, Tony Leung Chiu Wai, and Jet Li. This year's FILMART also added a new survey on the Most Saleable Actresses and Actors in Asian Film. 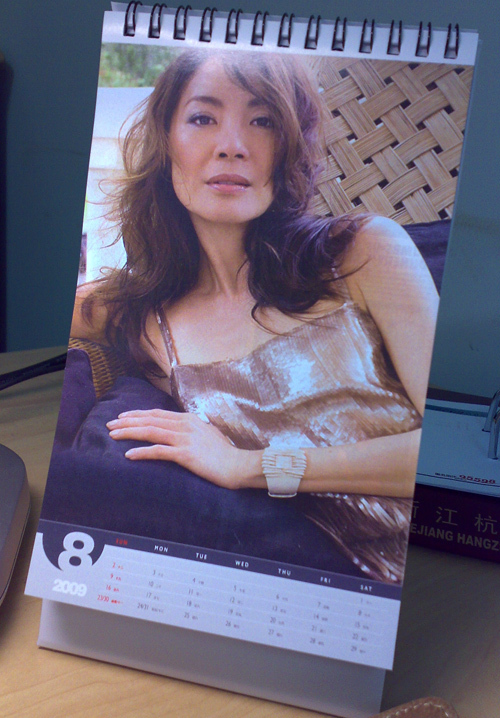 They are (in alphabetic order) - Actresses: Maggie Cheung, Hsu Chi, Gong Li, Michelle Yeoh, Zhang Ziyi. Actors: Jackie Chan, Chow Yun-Fat, Stephen Chow, Andy Lau, and Tony Leung Chiu Wai. The Most Saleable Hong Kong Film Directors are: Jackie Chan, Peter Chan, Stephen Chow, Andrew Lau Wai Keung, Johnnie To, Tsui Hark, Wong Kar Wai, and John Woo. Talking about her next film, Michelle revealed that she is going to work with a Taiwanese director. Not sure if this is the martial arts film Michelle mentioned earlier. Various sources reported that Tai Ping Lun (direct translation: Steamer Tai Ping), previously known as "1949", is aiming to start at the end of the year. [updated 03/26] Director John Woo said in Hong Kong on March 26th that the film may be furtherly delayed and he may shoot a Chinese World War II film and a martial art film first. - Earlier this month, Michelle was awarded as one of the "Outstanding Chinese Women in Perak State" (Art and Entertainment) by the Malaysian Chinese Association. 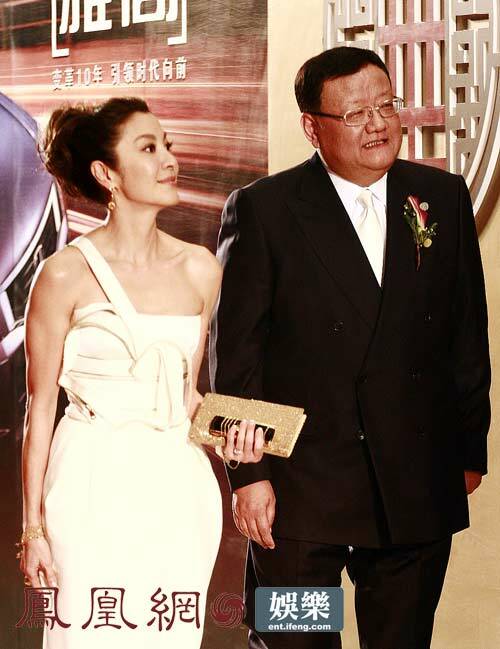 Photos from the 3rd Asian Film Awards, March 23rd, Hong Kong. 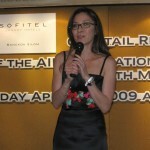 Michelle presented the Best Film Award to Japanese-Dutch-Hong Kong film "Tokyo Sonata"
- According to "Hollywood Reporter" and "Screen Daily", Michelle is going to be a co-producer for a $2 million urban romance, Dirt Rich in Shanghai, along with Terence Chang, John Woo, David Tang and Matthew Tong. Starring Sun Honglei, Hung Shiao-Ling, and Kelly Lin (the later two are acting clients of Stellar Entertainment), the film tells a story about nouveau riche man determined to transform his down-to-earth image into a gentleman of taste, in order to pursue a famous actress. Shooting will start in April in Xiamen and Shanghai of China. - As the jury president and spokesperson for the jury, Michelle is going to attend the award ceremony of the 3rd Asian Film Awards which will be held next Monday at the Grand Hall of the Hong Kong Convention & Exhibition Centre. "Now work is my first interest. It is my hobby and my passion, which makes it possible for me to do what I want to do. The good thing for being an actor is that many people will listen to what you say and so you should seize this opportunity to influence younger people and our next generation. You have gained so much from society, then why don't you repay it by making use what you have already gotten and do something within your ability. So I have not thought of retiring. Retirement means you don't have the interest anymore to do what you are doing. As Chinese we have a responsibility. Because people who watch movies mistake what happens in them is fact. We have many existing cliches about the Chinese woman which we need to break. - Far North: four film clips. - Far North: new images (with Michelle's). - Michelle has been selected as one of the winners of the 2008 World's Most Influential Chinese Awards and she will attend the award ceremony on March 28 at Peking University in Beijing, reported Chinese media. 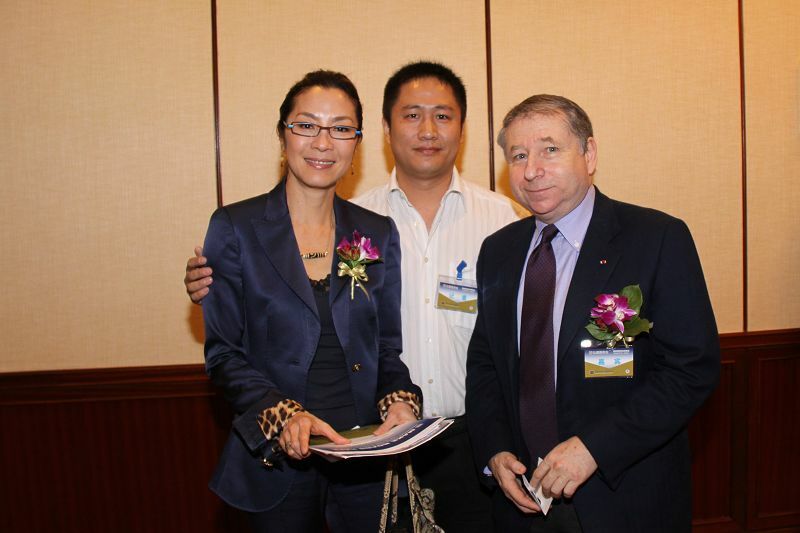 The awards are organized by a dozen worldwide Chinese language media and this year will be the 3rd annual awards. In an interview with PTV in Hong Kong last month, Michelle said she's going to shoot a period costume martial arts/action film, hopefully in the middle of the year. She said they have the script but director and cast have not been fixed. - Babylon A.D.: new images and link to the Japanese official site. In the interview Michelle said currently she has two film projects under pre-production, and we can expect to see her back in Asia to shoot films at the middle and the end of the year. 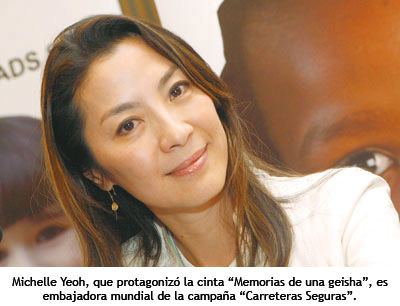 South Korean actress Song Hye-Kyo told reporters in Shanghai that she hopes to work with Michelle soon. "Chutian Metropolis Daily" reported that Song Hye-Kyo revealed that she's going to shoot a film with Michelle and they are working on the details. 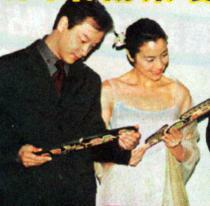 Song was one of the officially announced actors for John Woo's 1949. When reporters asked about 1949 at the SMG event in Shanghai, they were told it was top secret at Stellar Entertainment. Director John Woo said in a recent interview that 1949 is not canceled but may be postponed since more negotiations are needed after the investing company which holds the copyright of the script added some new conditions. He said his U.S. agent got him a big budget action comedy. But his wish is still to make 1949, a moving story of three couples during the years of unrest in China, and how their fates intervened with the fate of the nation. Woo said that they are currently modifying the script. 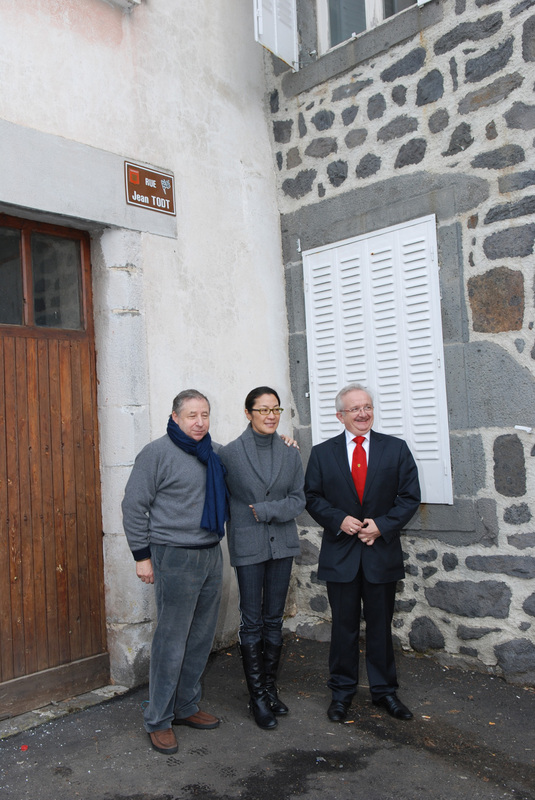 For related earlier reports and background of the project please see News of Feb. 2. 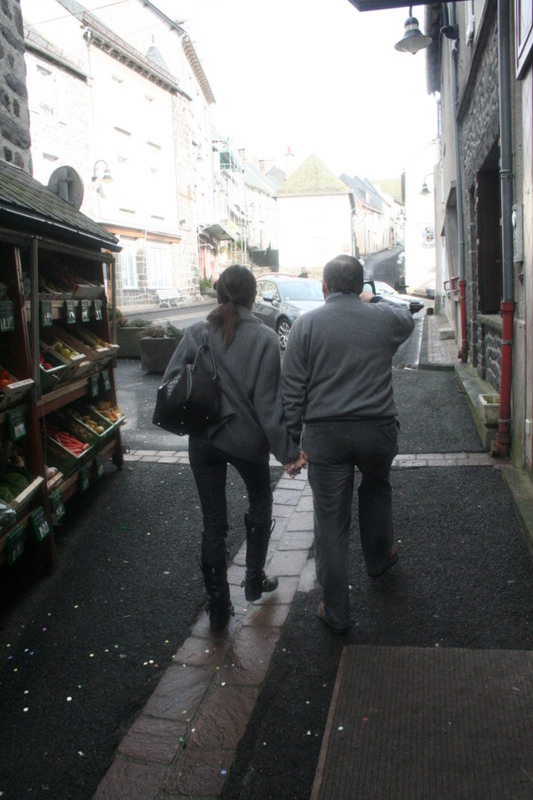 - Far North: Michelle & Asif Kapadia Q&A video - Part 3. 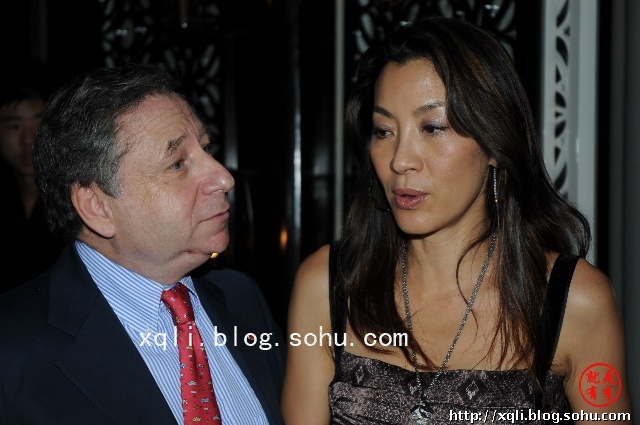 - Michelle flew from Paris to Shanghai and attended the annual SMG charity gala on February 28th. Photos: Michelle's Stellar Entertainment at the launch ceremony of the stamp album of the charity gala, which will benefit children in China's Sichuan earthquake region. - Babylon A.D.: Region 2 DVD release information. - On February 25th, Michelle attended the grand opening of a Louis Vuitton flagship store at Plaza Indonesia in Jakarta, Indonesia. - In a recent interview with Hong Kong TV/radio host Eileen Cha on the 24th, Michelle mentioned that she is busy reading script drafts from five writers and trying to choose one who will be the scriptwriter for her new project. - On February 24, a press conference for the 3rd Asian Film Awards was held in Hong Kong, officially announcing Michelle will be the jury president and spokesperson for the jury. 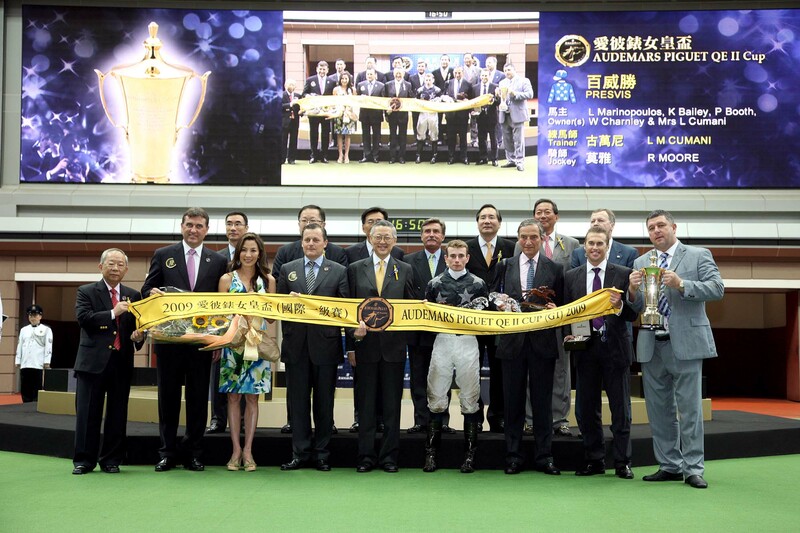 The awards presentation ceremony will take place on March 23rd at the Grand Hall of the Hong Kong Convention & Exhibition Centre. 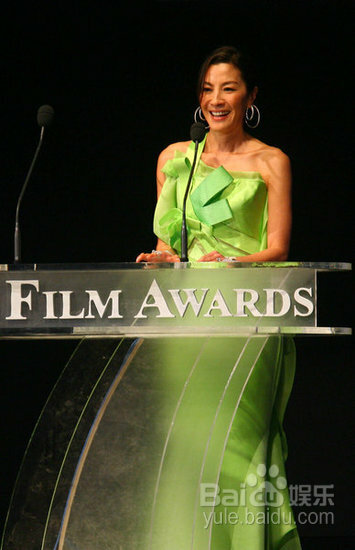 Michelle said the Oscar-winning film Slumdog Millionaire was an example of successful collaboration between Asian film industry and Hollywood. "We should not say, 'This is only ours.' 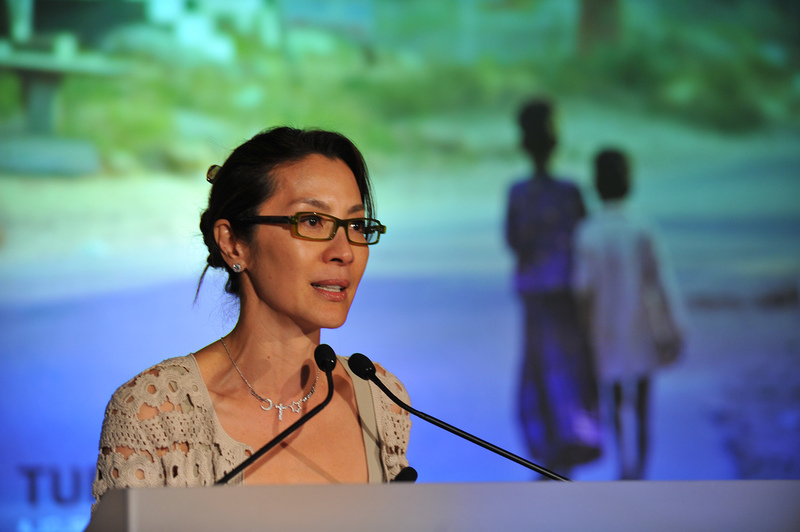 We should work together, share the technology, share the intellectual property, share the talent," said Michelle. She said she has a strong belief in Asian films and the wealth of legends and attractive landscapes in Asia could be a great resource for the region's film industry. Michelle told reporters she did not want to take jury duty for film awards after 2002 Cannes since it is very time consuming and it is extremely difficult to choose one film over another. 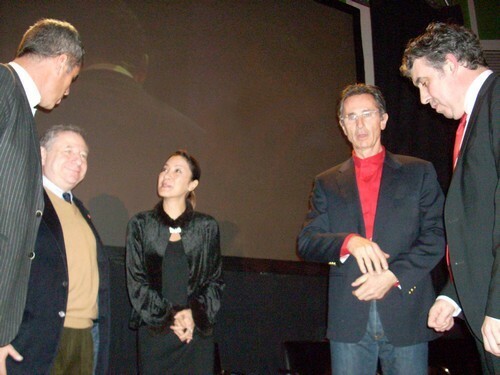 This time she accepted the invitation as a support to Asian films. She said she had been busy watching the films. There are a total of 36 films in competition for 13 categories. Although she was told she could watch only half of each film but Michelle felt she should respect each of them and watch them to the end. She was watching three films per day lately. 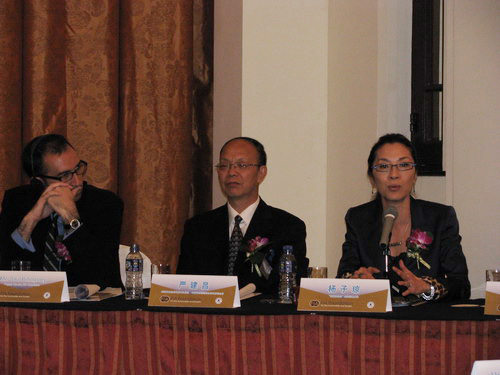 - Michelle was selected as one of the "100 Charity Stars" by SMG (Shanghai Media Group). Chinese media reported that Michelle and several actors from her Stellar Entertainment will attend the annual SMG charity gala on February 28 in Shanghai. 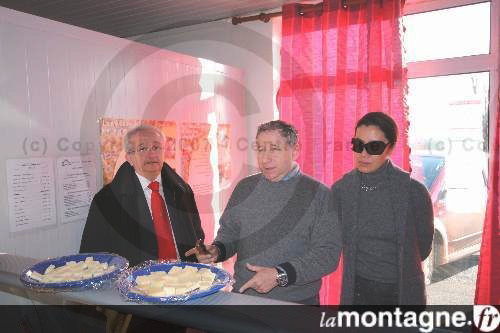 February 5th: Michelle and Jean Todt at the ceremony for the new logo of Cantal district. - Congratulations to director Danny Boyle (director of Sunshine) for his Slumdog Millionaire winning 8 Oscar awards! 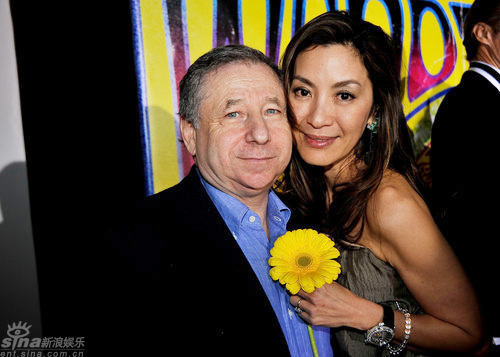 Danny Boyle told Hong Kong reporters recently that he hopes to work with Michelle again, and he hopes he can make a film in China. - Far North: new Michelle images, French pressbook, and French and Indian posters. 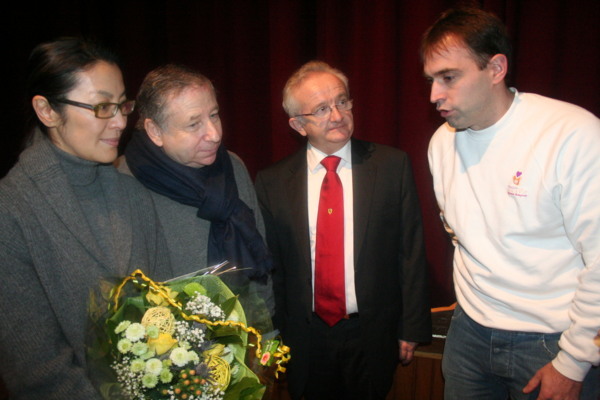 The film will be released in France on March 18. 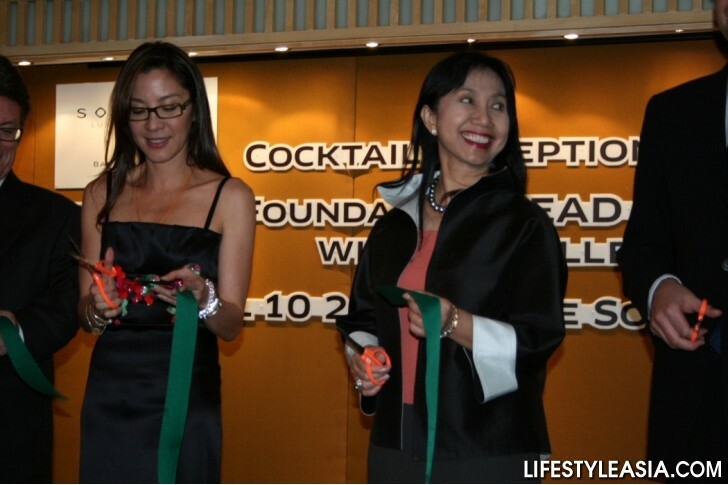 - News photos: Michelle attending The Blossoms of Compassion charitable gala dinner in Hong Kong, February 10th. 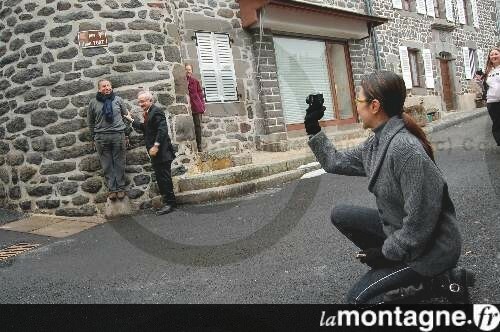 - Jingle Ma's Hua Mulan started lensing. 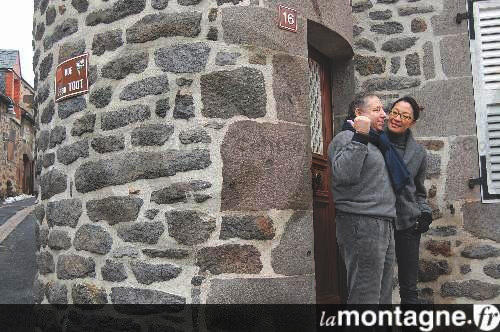 - Far North updates: new images of Michelle's Saiva. Win German DVD. - The Mummy 3: photos of the M3 costume display at FIDM Los Angeles (the exhibit runs until March 29). - Far North: upcoming screenings with director Asif Kapadia's Q&A sessions in London. - Yesterday at Stellar Entertainment's press conference in Taiwan, producer Terence Chang said the planned film 1949 (see News of Dec. 22) may have to be canceled. 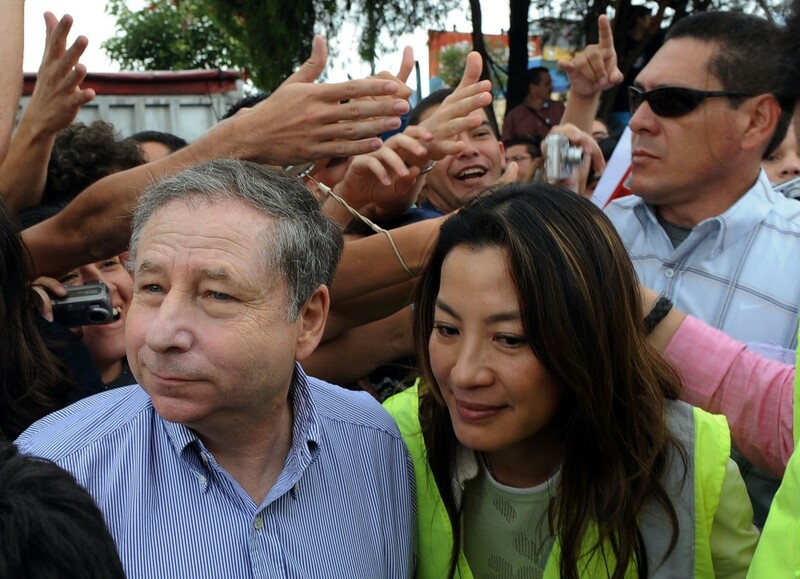 Chang mentioned a copyright issue with the script, and expressed his disappointment with an investor. The China Film Group Corporation, the state-run film enterprise in China, and Taiwan's Ling I-Jun were supposed to be the main financial investors of the project. Hong Kong "Oriental Daily" reported that Terence Chang and director John Woo may choose to abandon the project since they don't want to be controlled by the investor company. Woo may direct a Hollywood film instead. 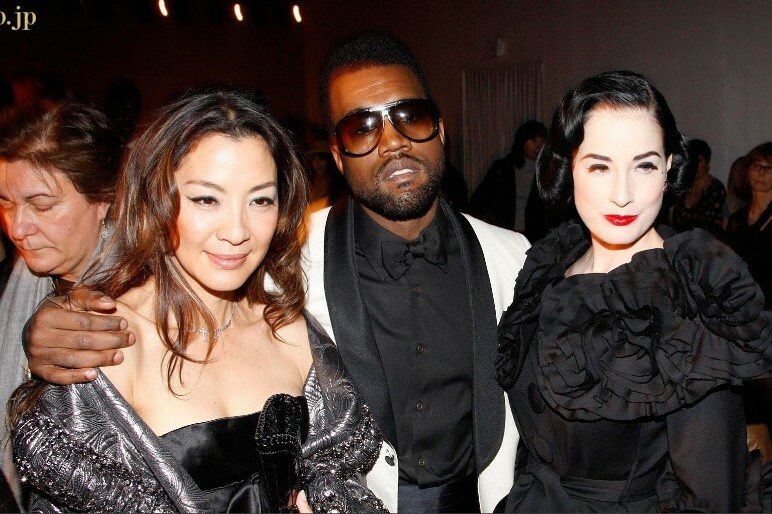 - Video from the Dior fashion show, Jan. 26 (Michelle at 01:46 - 02:36). - News photos: Michelle attending the Elie Saab fashion show during Paris Fashion Week on Wednesday January 28 at Palais de Tokyo in Paris, France. 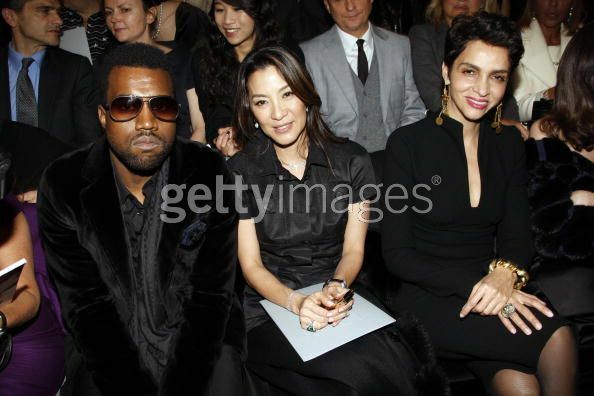 - Reporters from Hong Kong's "Sun" and "Apple Daily" spoke to Michelle at Monday's fashion show in Paris. 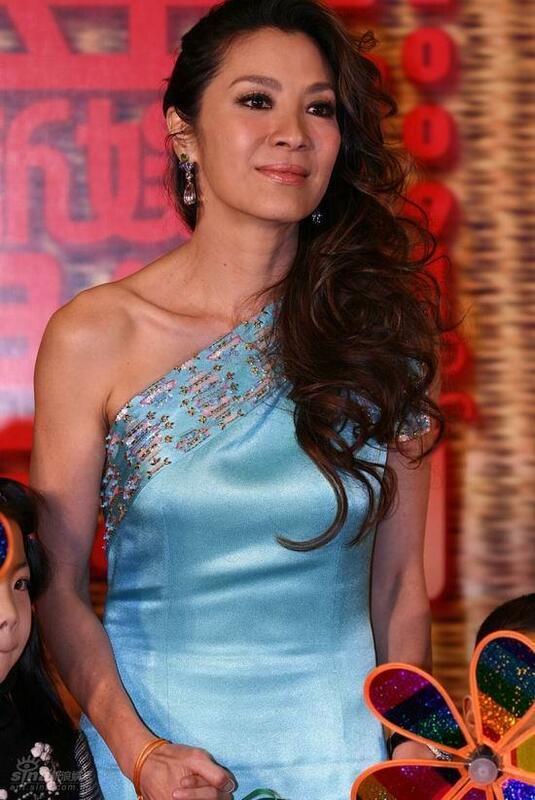 Michelle revealed that she and producer Terence Chang are preparing a martial arts film in which she will star. They are currently looking for investors. If everything goes well, the details can be expected to be announced in April. A reporter asked Michelle whether she would consider reducing her paychecks in order to help the local film industry, to which Michelle replied that pay has never been the most important factor for her. She only looks for the quality of the project. Michelle also gave her Chinese New Year's greetings to the readers of the newspapers. - News photos: Michelle attending the Christian Dior Haute Couture show Spring/Summer 2009, during Paris Fashion Week, Monday January 26, Paris. - Far North: French release date. - Babylon A.D.: Japanese release date. - Here is Michelle's Chinese New Year greetings to everyone! may the Year of the Ox be one that's healthy, strong, forgiving, loving and peaceful to all. thank you for all your continuous love, care and support for all that i do.. 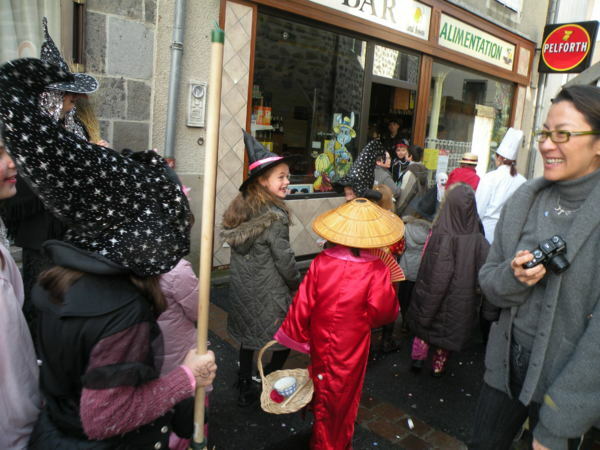 This year's Chinese New Year will be on Monday January 26th. Hope you will have chance to catch Divine Performing Arts' Chinese New Year Spectacular in your area! The show is stunningly beautiful and inspiring and I watched it twice early this month when they toured LA :-). 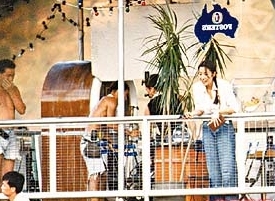 - Far North: video of Michelle and Asif Kapadia Q&A - part 2. 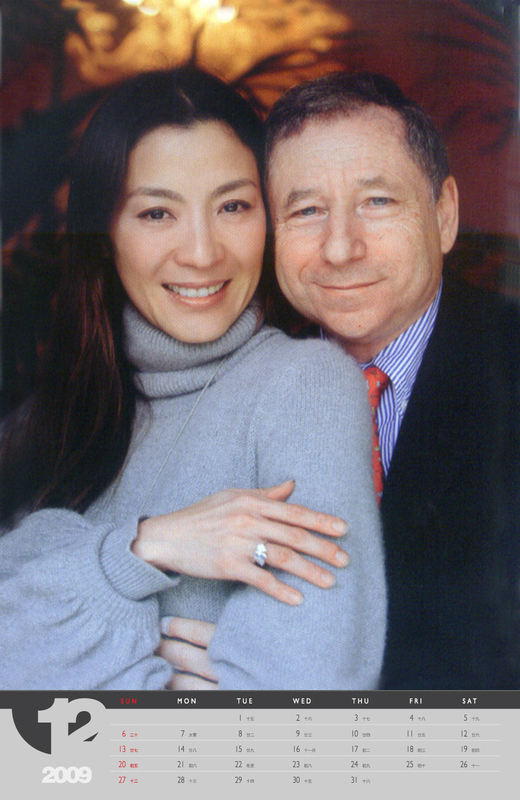 - An English translation of the Michelle interview on 2008 "Bund" Magazine at The Chinese Mirror (thanks Don). Scans of the original article and photos can be seen at Magazines. 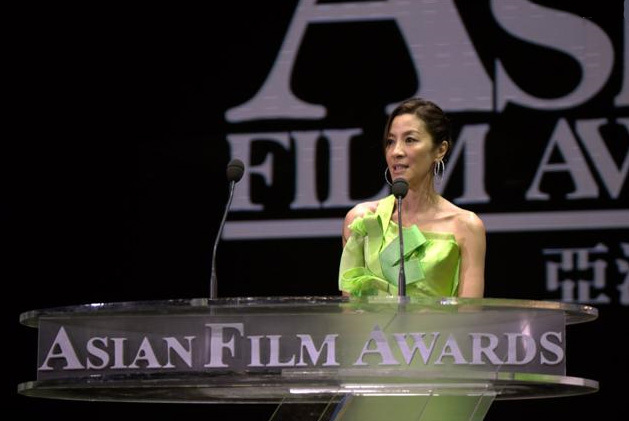 - Michelle will be the chair of the jury panel for the 3rd Asian Film Awards (AFA), reported Hollywood Reporter. 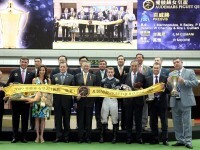 The awards ceremony will be held on March 23rd at the Hong Kong Convention and Exhibition Centre. 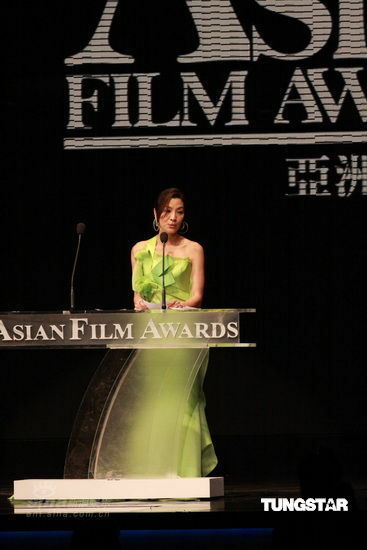 A total of 36 Asian films were selected from hundreds of entries for 13 categories. 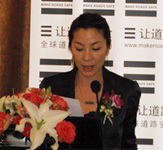 The awards are organised by the Hong Kong International Film Festival Society. - Updates on Jingle Ma's Hua Mulan project. 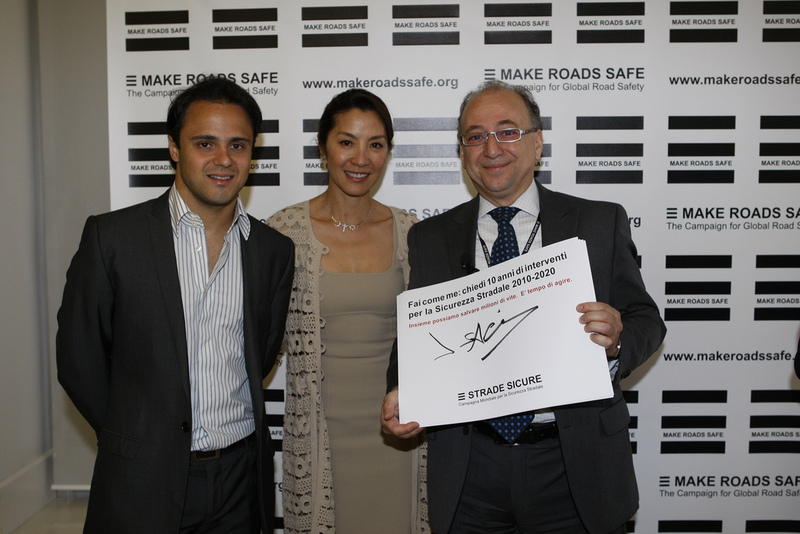 - News photos: Michelle as ambassador of the FIA Foundation's global Make Roads Safe campaign. San Jose, Costa Rica, January 15th, 2009. 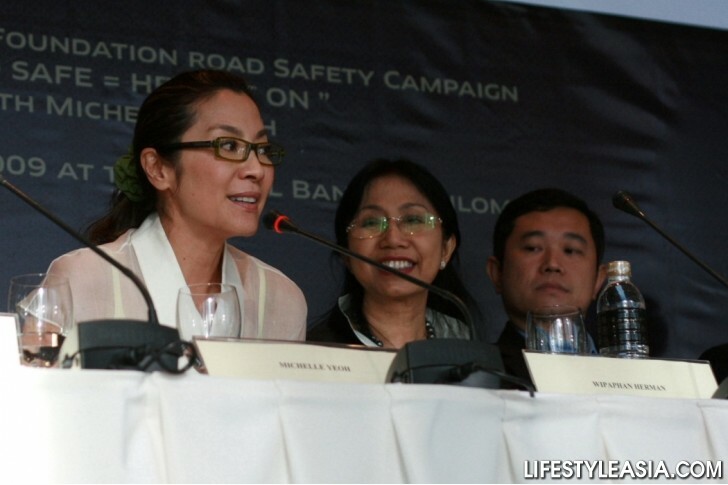 Michelle at a Make Roads Safe press conference held at InterContinental Hotel in west San Jose. 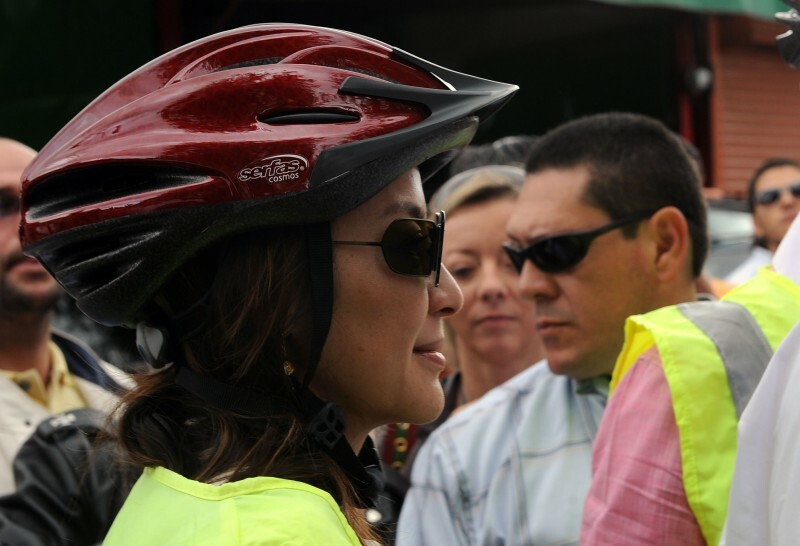 Michelle attending the opening ceremony of a bicycle path as ambassador of the Make Roads Safe campaign. 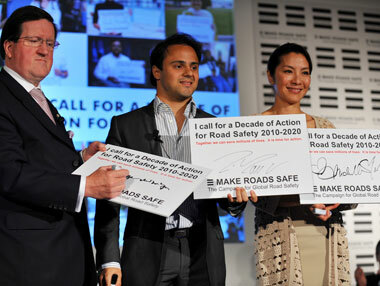 The FIA Foundation donated one million dollars for the local road safety projects. - Michelle arrived in San Jose, Costa Rica last night. 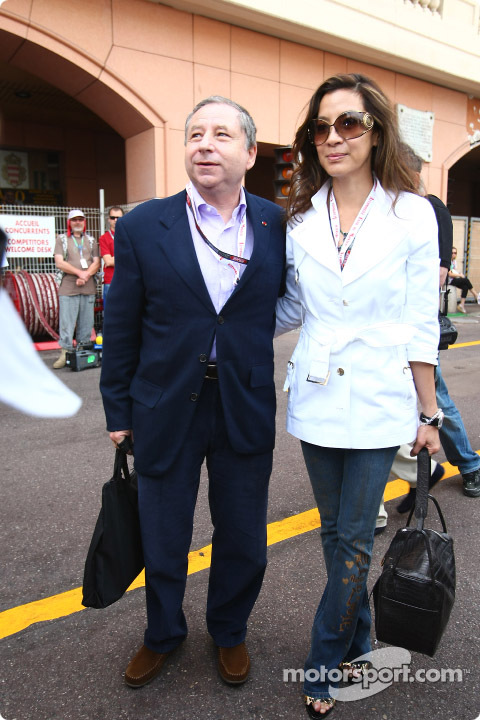 Local news reported that Michelle, Jean Todt, Michael Schumacher, and Schumacher's wife arrived by a private plane. 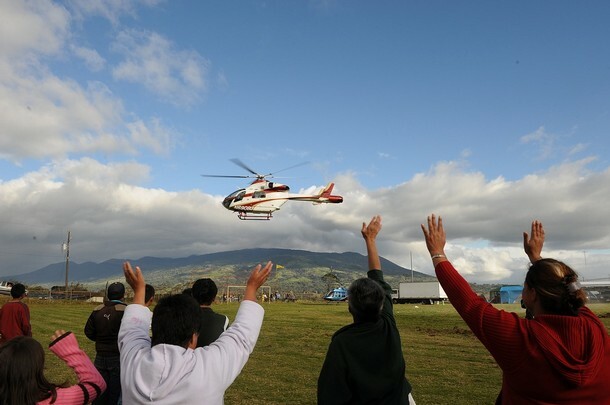 This afternoon they flew by helicopter to the Cinchona area, about 60 miles northwest of San Jose, which was hit by a 6.1-magnitude earthquake on Jan. 8 that killed at least 23 people. 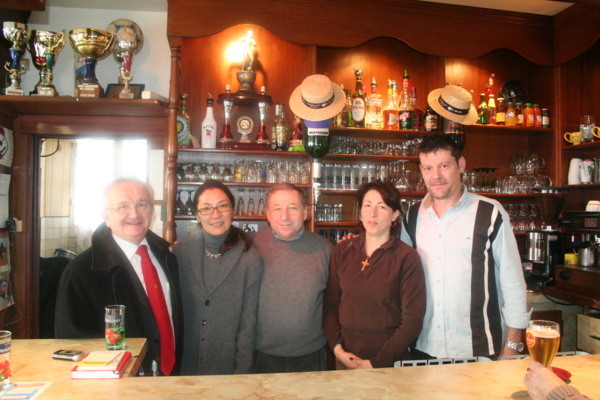 They toured the disaster zone and visited an emergency shelter located in a village near the epicenter. 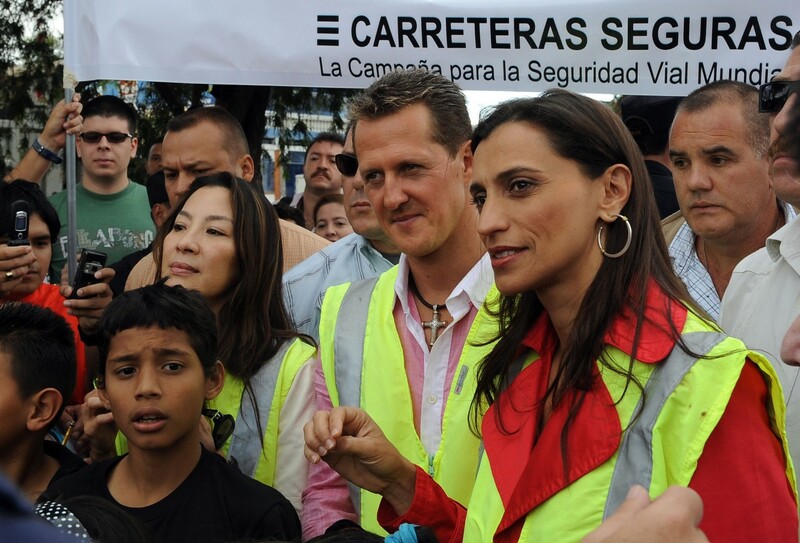 Accompanying them was Karla Gonzalez, the Costa Rican Transport Minister. - Far North updates: video of Michelle and Asif Kapadia Q&A. U.S. DVD cover images. 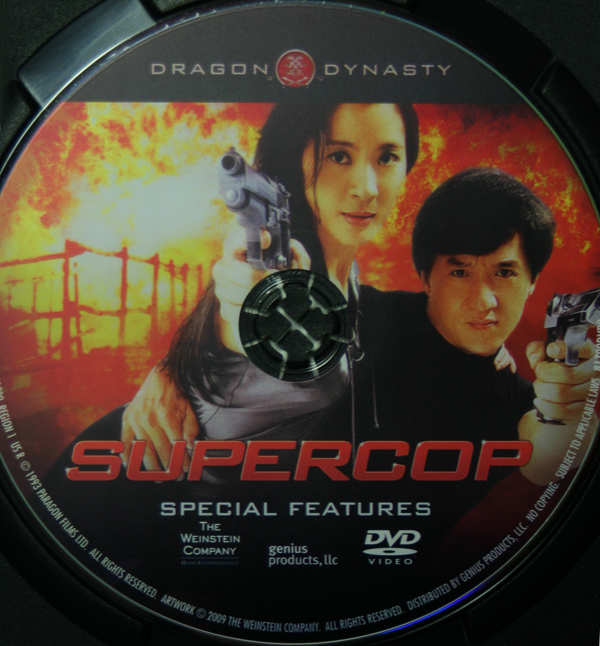 On the cover of the actual DVD, the positions of the two Michelles have been changed and the name tags are now correct. Also listen to an audio interview of Michelle. - The Mummy 3 is nominated for the Costume Designers Guild awards. 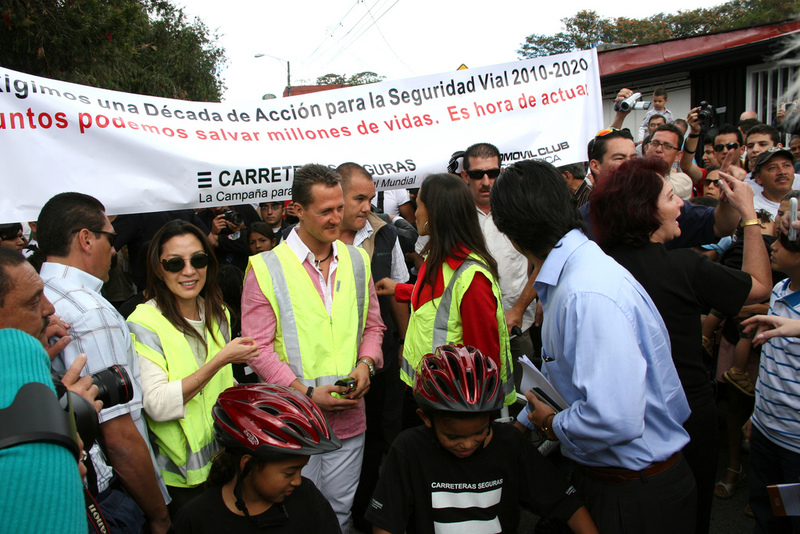 - Michelle will be in Costa Rica for the launch of the Global Road Safety Campaign in Central America. 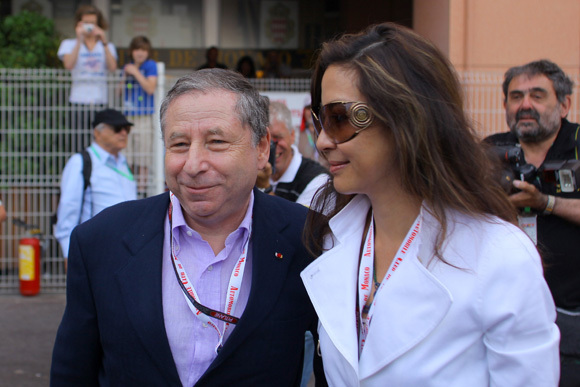 She and Michael Schumacher, the former Formula One driver and seven-time world champion, both ambassadors of the FIA Foundation, will be attending a series of events later this week in San Jose, the capital city of Costa Rica. - Today, January 12th, is the birthday of Wen, my friend in China who was detained by the Chinese communist government for practicing Falun Dafa. 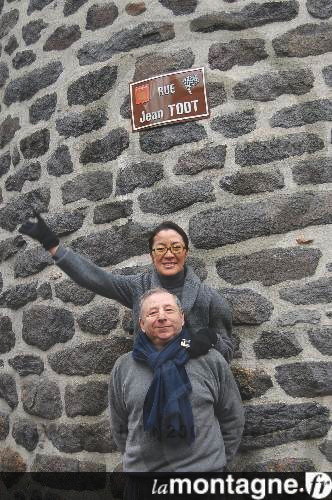 (see previous reports) She was taken by police last May during the "cleaning of Beijing" for the Olympics, and in June without a trial, she was sentenced to two years in forced labor camp. 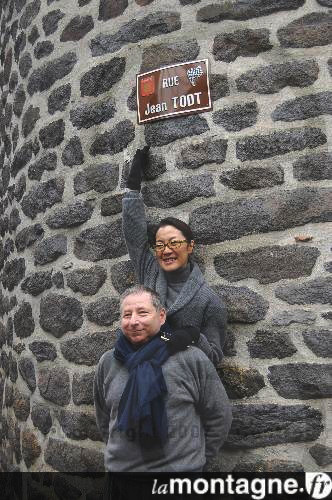 I don't know what exactly happened to her after she was taken to the labor camp. Last November I heard that her health condition was very bad (she was totally healthy before the arrest) - her legs hurt so much that she can barely walk. Her eyesight is so bad that she can only see lights and shapes. They are still continuing to brainwash her by forcing her "study" articles that slander Falun Dafa. 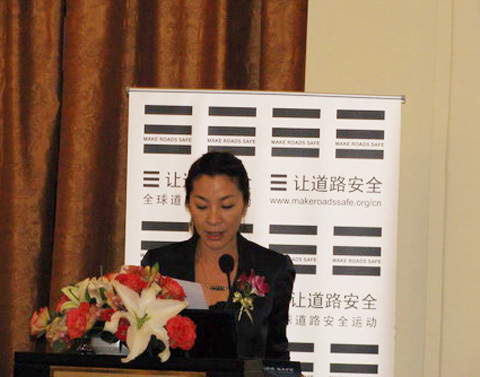 Wen is currently being held at the Beijing Daxing Female Forced Labor Camp. I have managed to get a copy of the written "judgment" of her case. 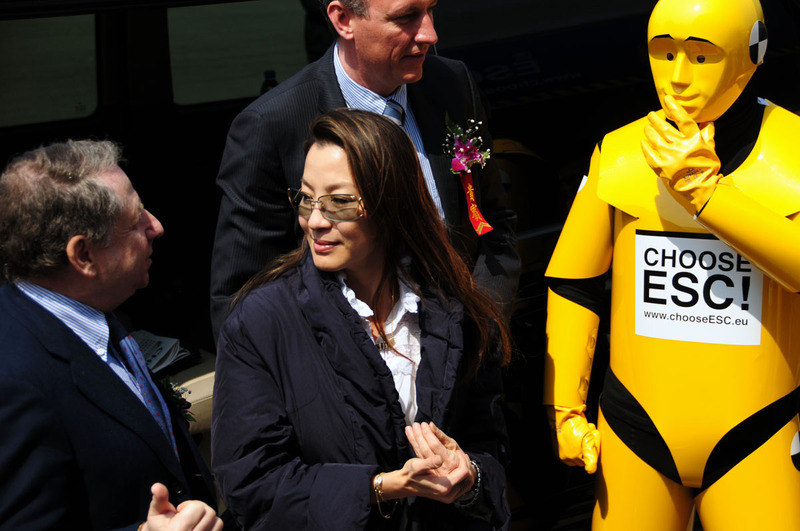 Her only "crime" was "hiding Falun Gong materials at her home." Today is Wen's birthday... but I have nowhere to send her a birthday wish. 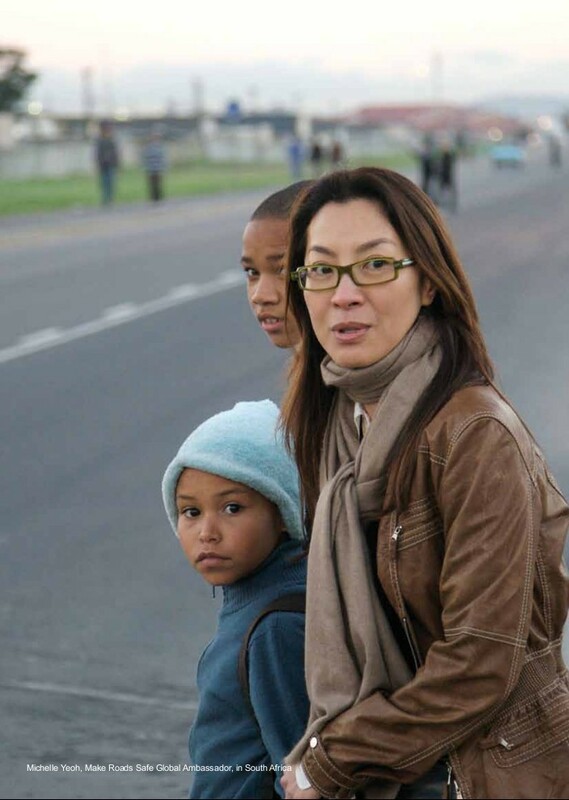 - Far North: Michelle won the Best Actress award at the Calabria Film Festival last month. Also the release information and cover image of the German DVD. 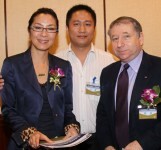 - The Children of Huang Shi: two video clips (both with Michelle). U.S. DVD cover pic. The DVD will be released on January 20. - The Mummy 3 is on Oscars' shortlist for the Visual Effects category. - Michelle is featured on the cover of "InStyle" magazine, China version, January 2009. See photo and article scans in Photos -> Magazines. Thanks Bin! - Guardian article on Michelle: All-action heroine. Also see more videos, interviews, and articles in Far North news. - Babylon A.D.: more images. U.S. DVD/Blue Ray is releasing today. - HAPPY 2009 guys/gals! Let's start the year with some photos of our beautiful lady ;-) .